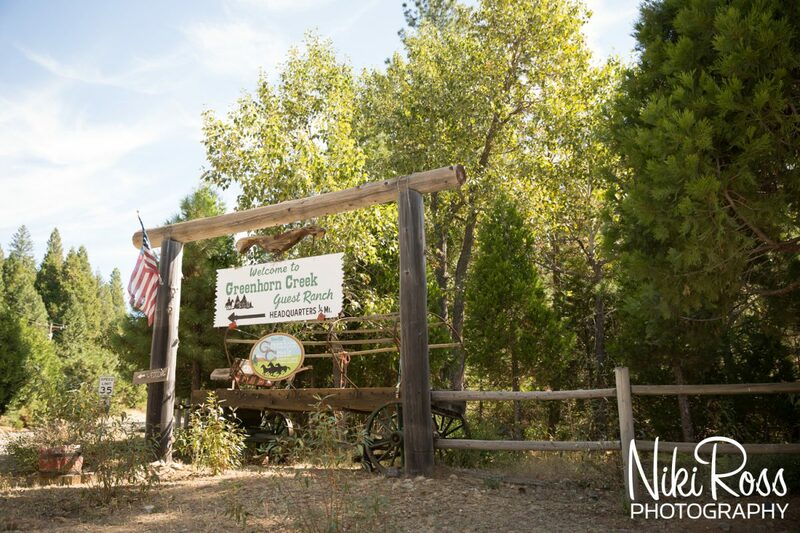 Greenhorn Ranch is a working dude ranch located in Northern California’s Lost Sierra. 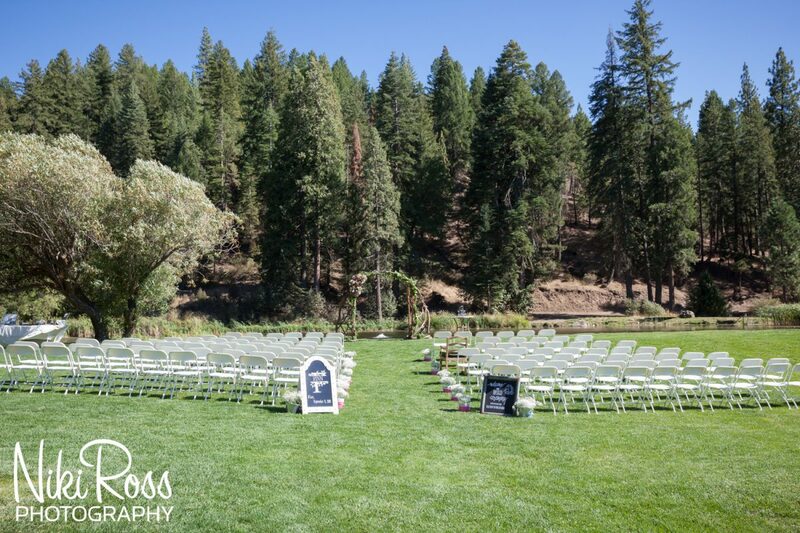 The Lost Sierra is one of the most gorgeous hidden gems of Northern California. 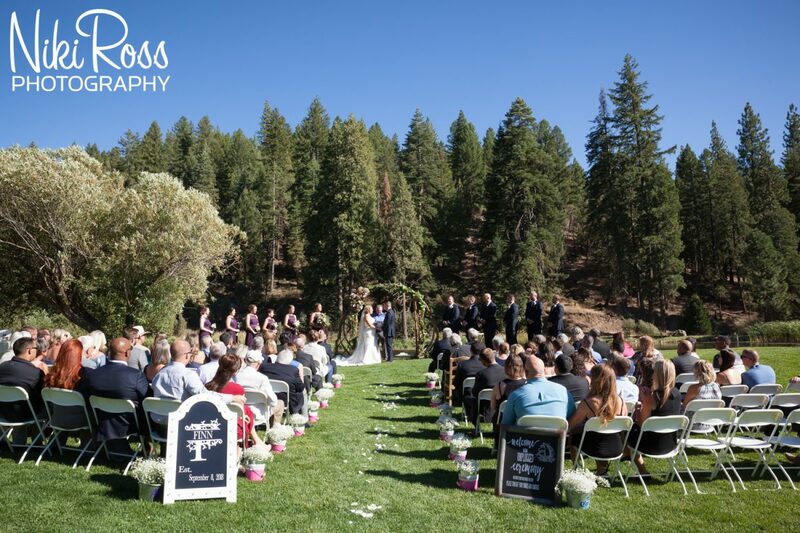 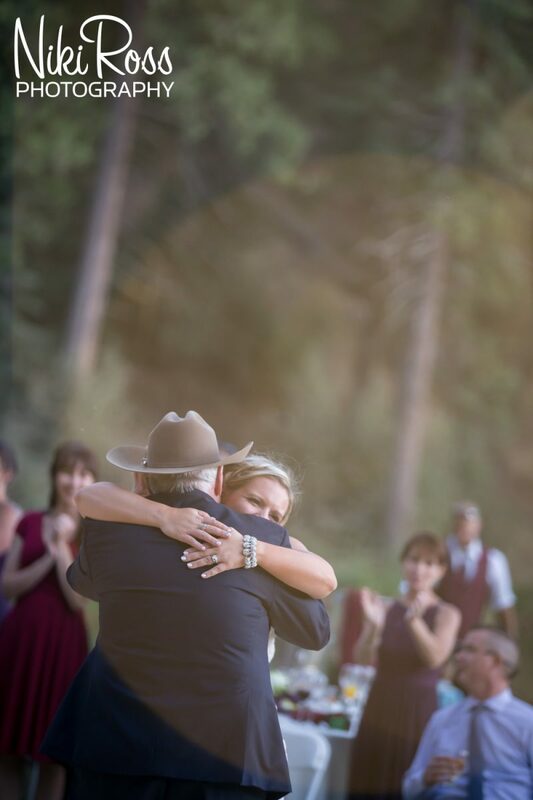 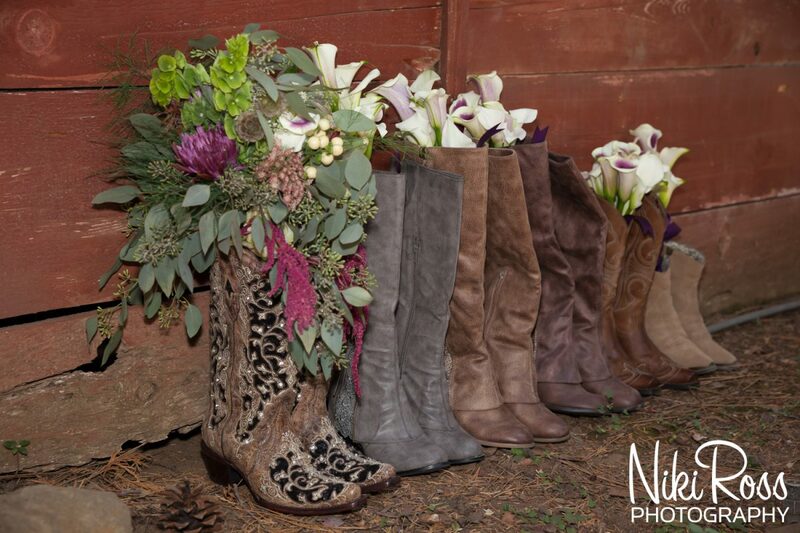 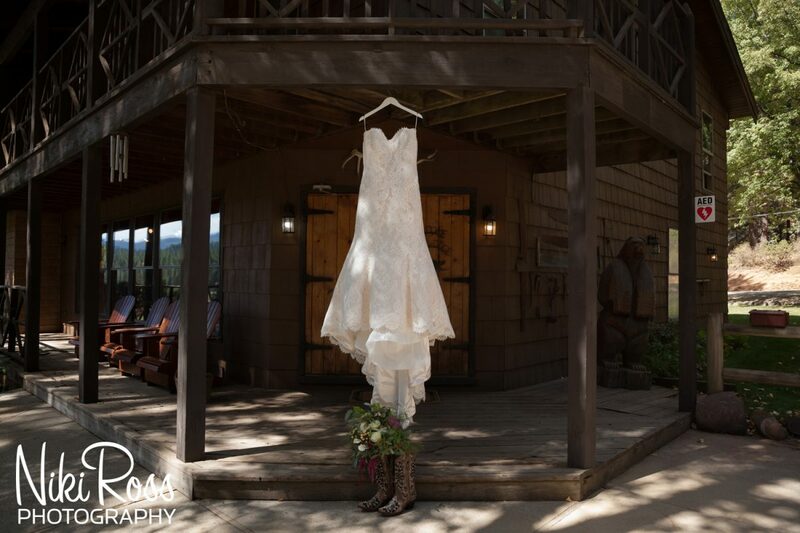 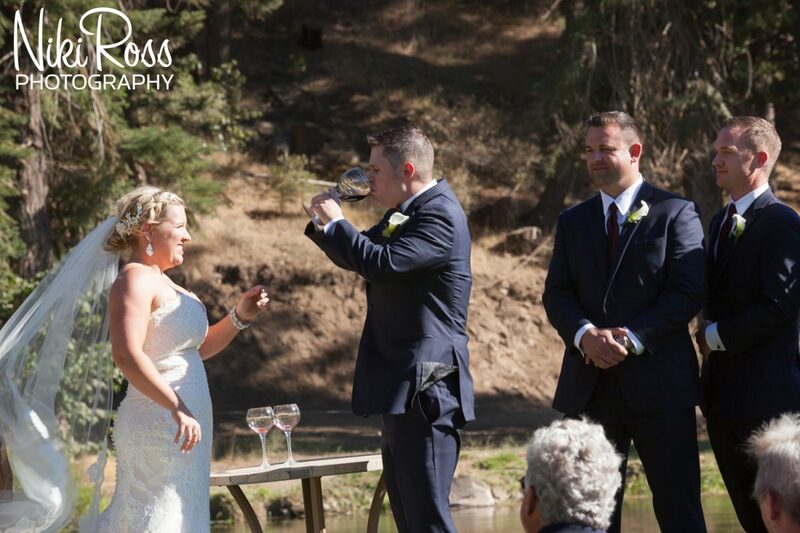 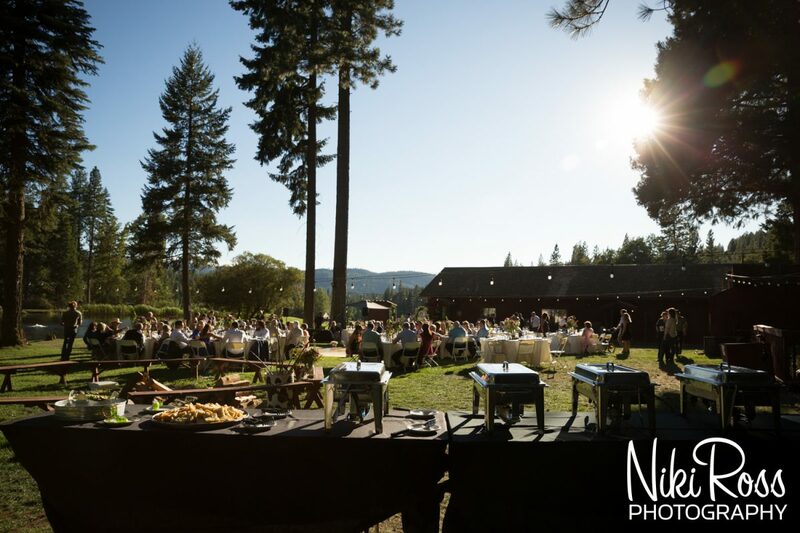 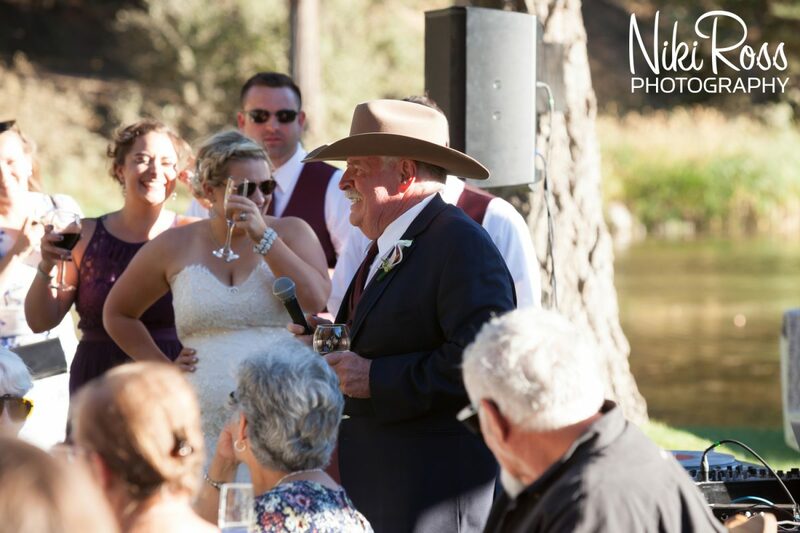 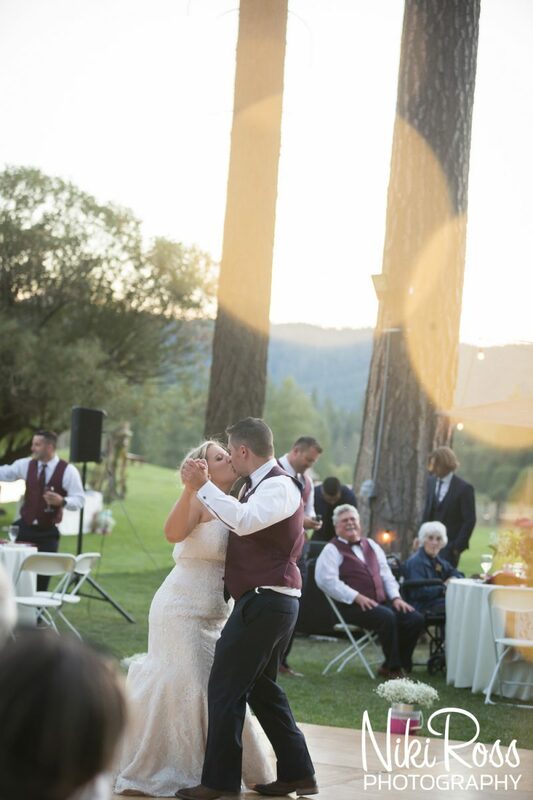 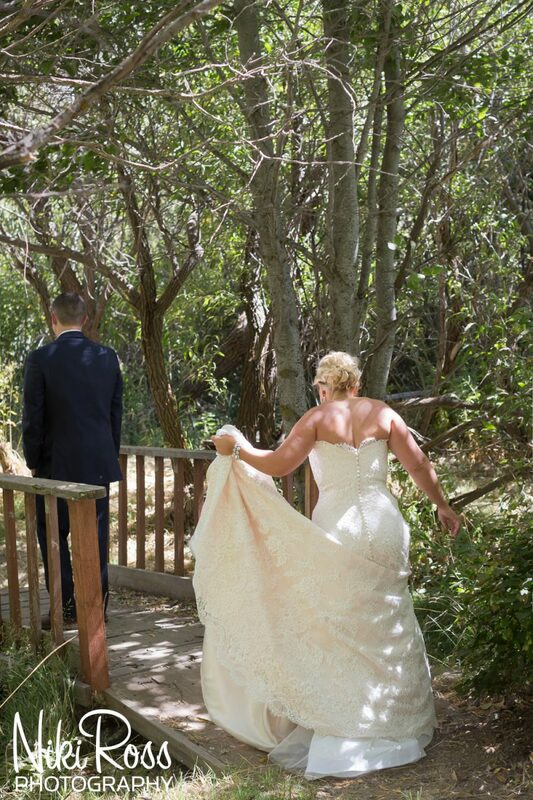 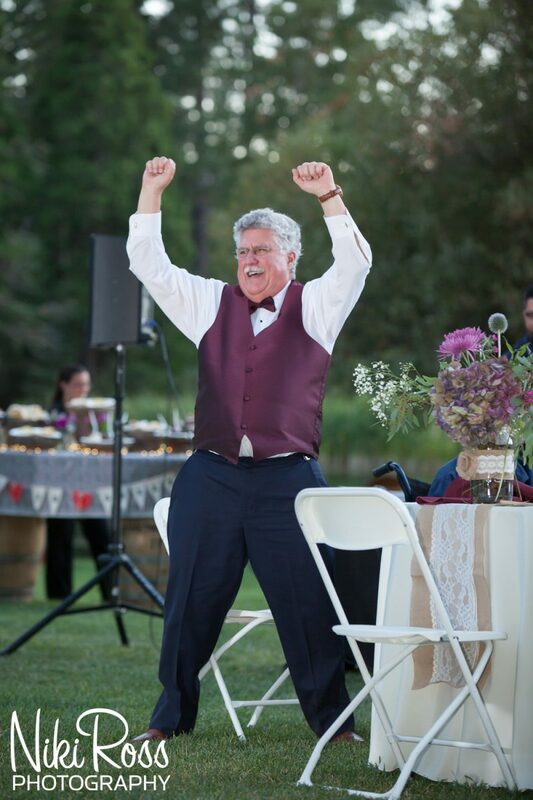 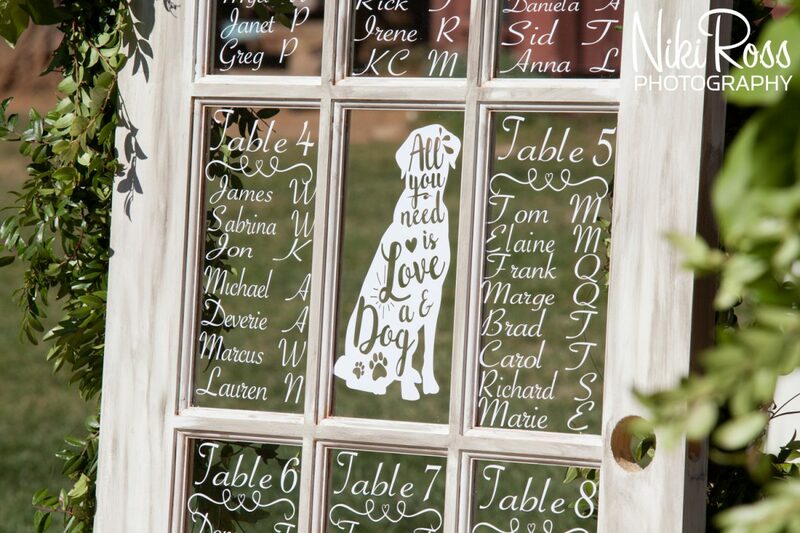 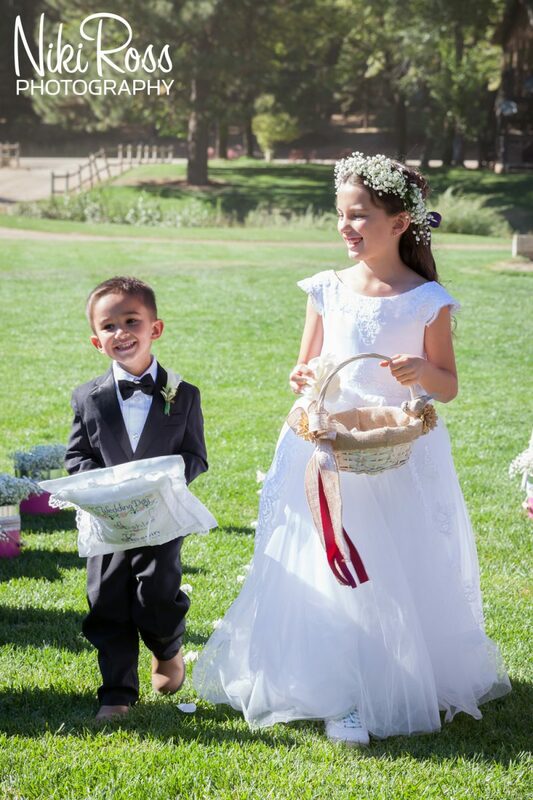 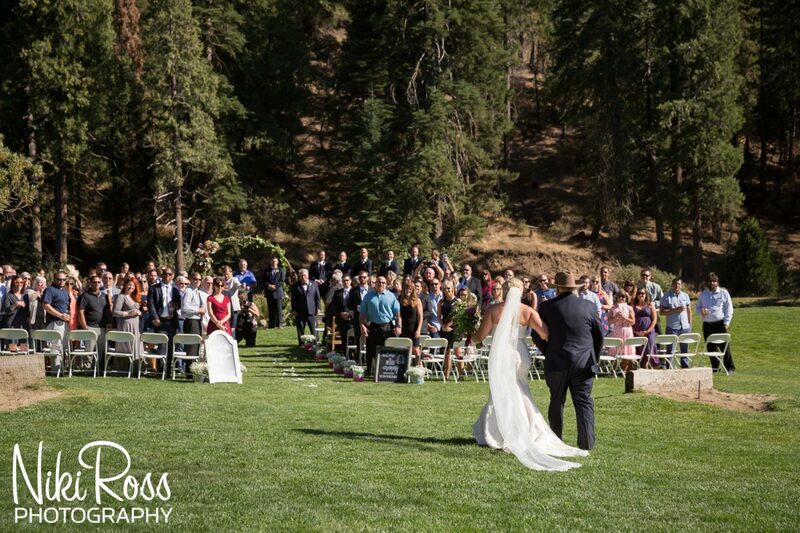 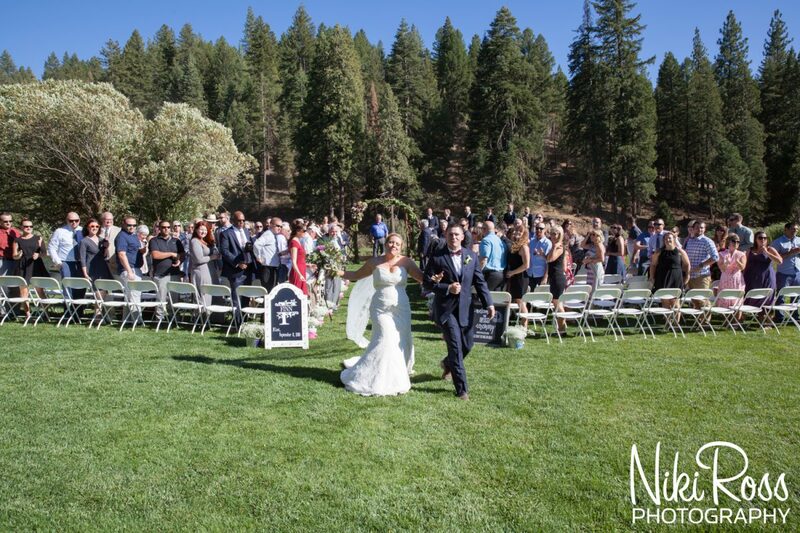 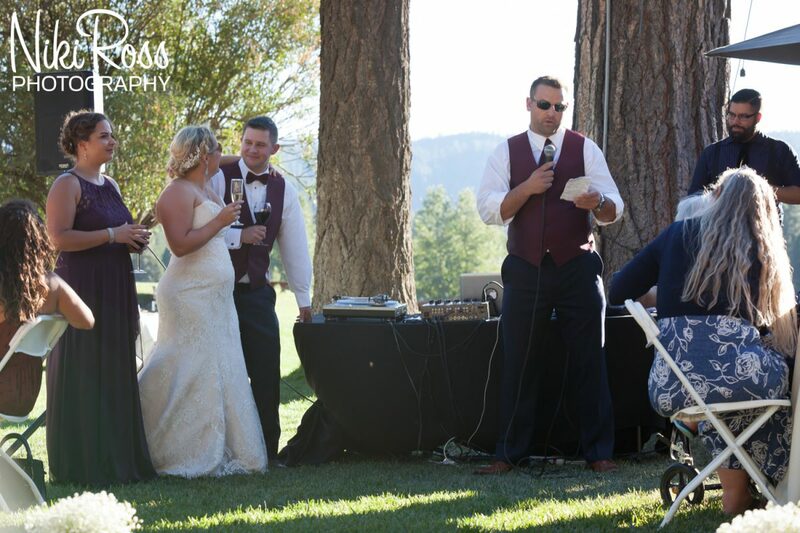 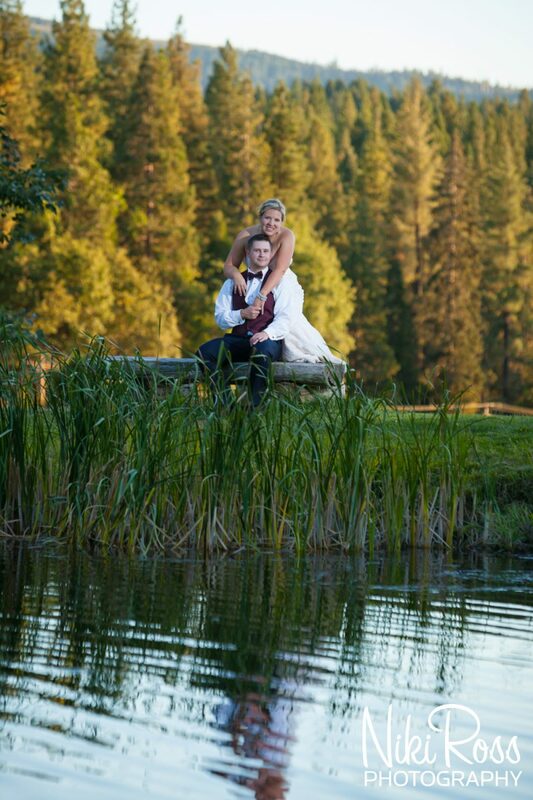 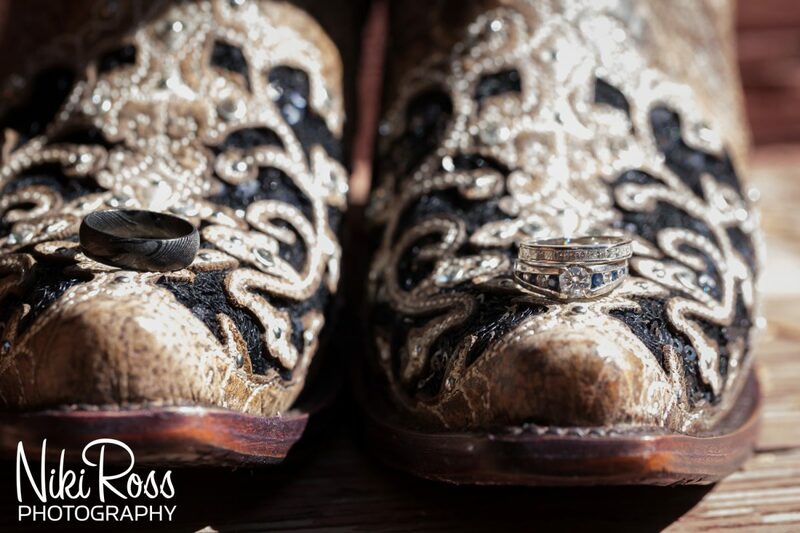 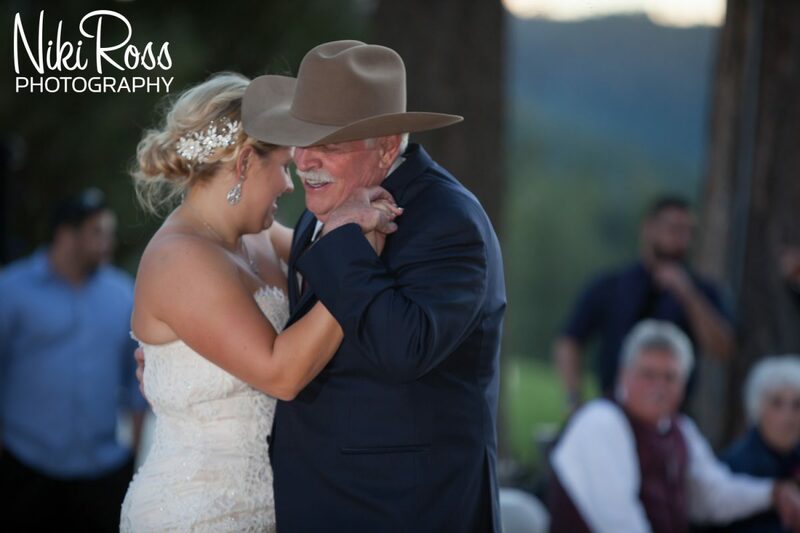 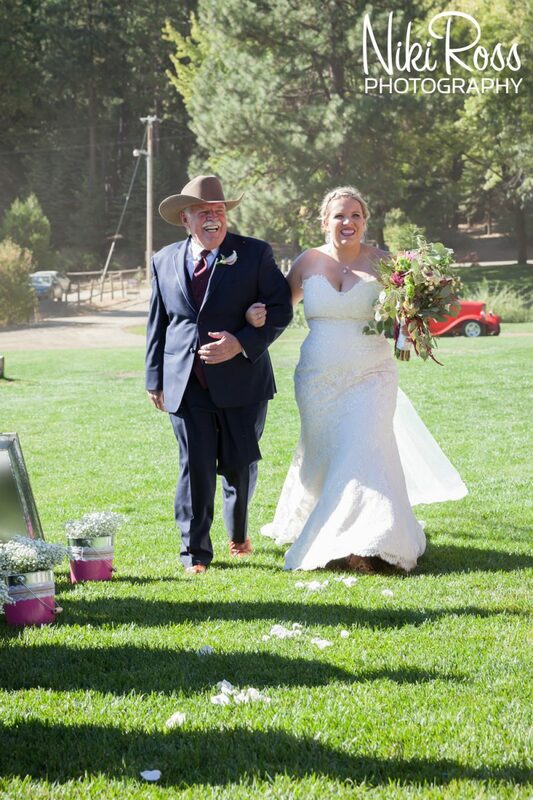 This makes Greenhorn Ranch the perfect wedding venue for an outdoor-country loving couple. 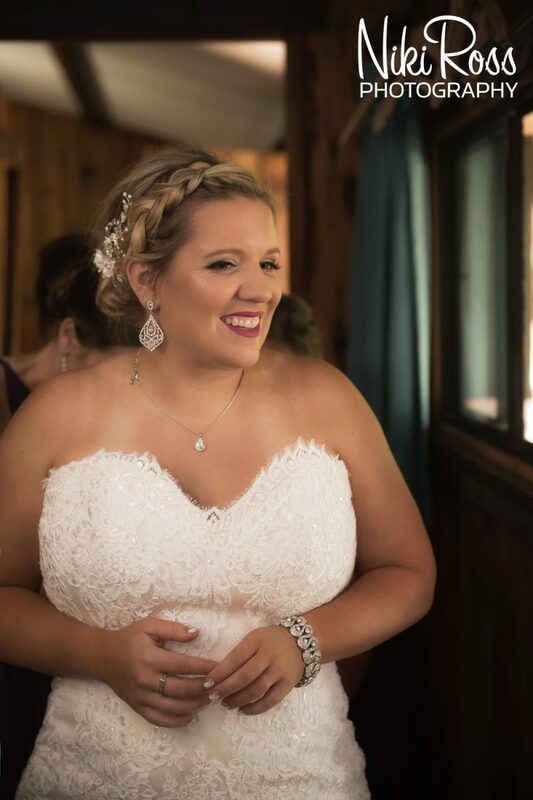 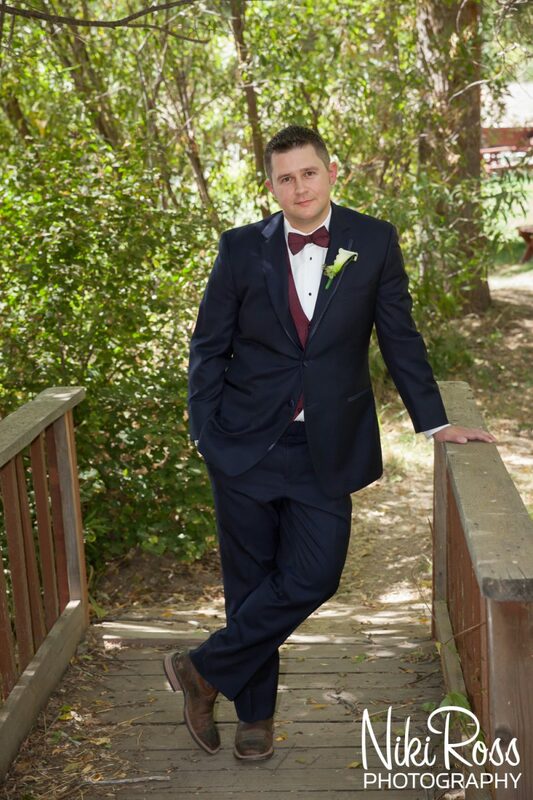 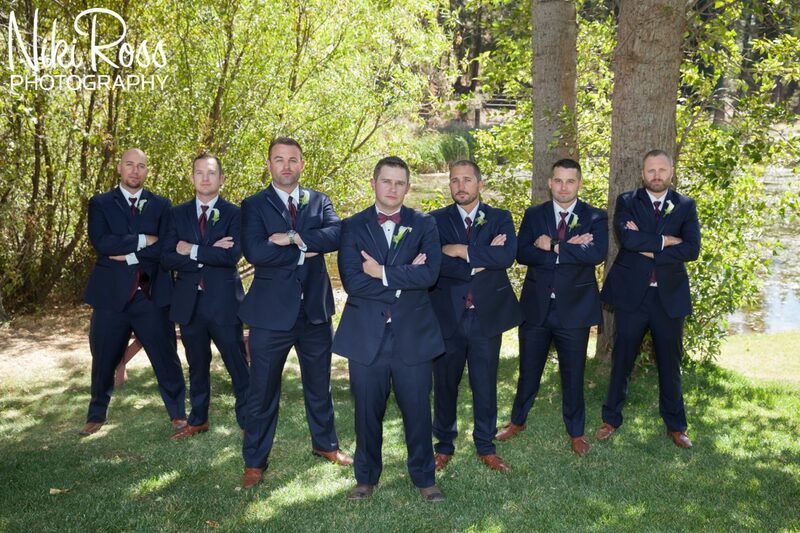 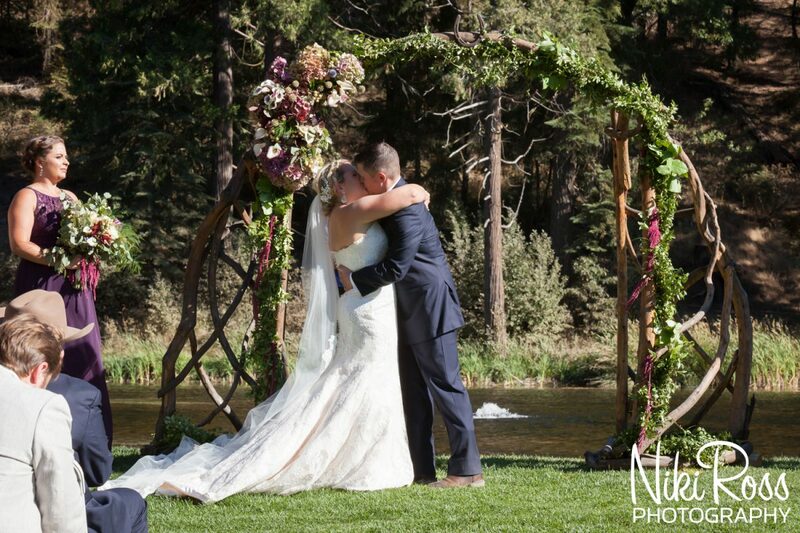 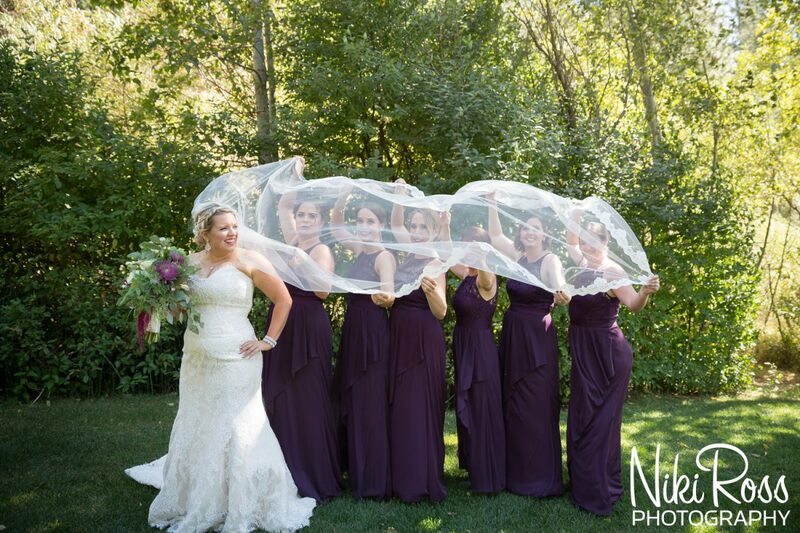 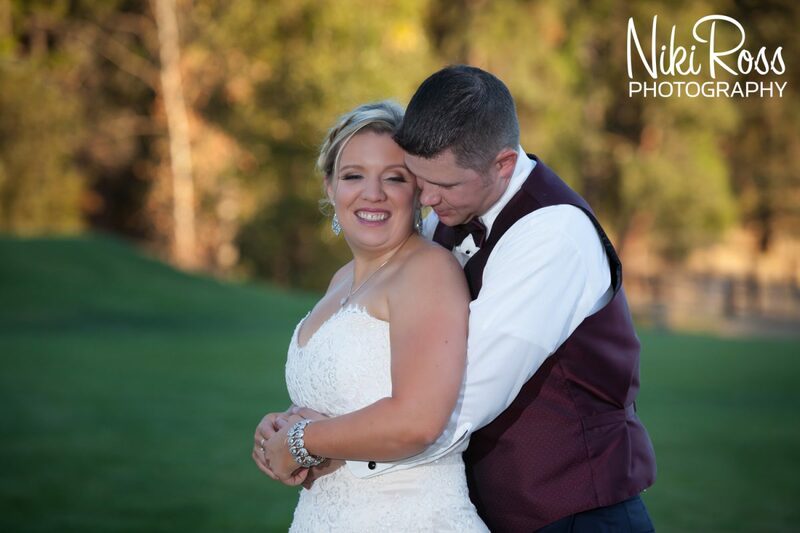 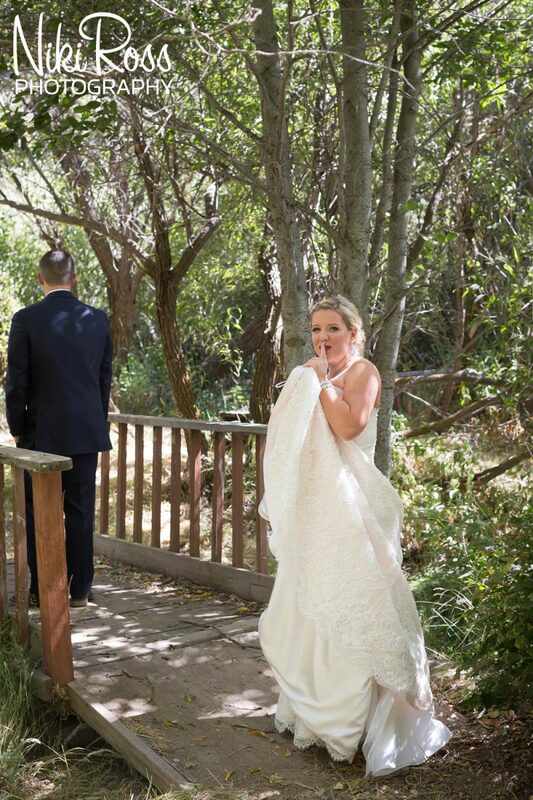 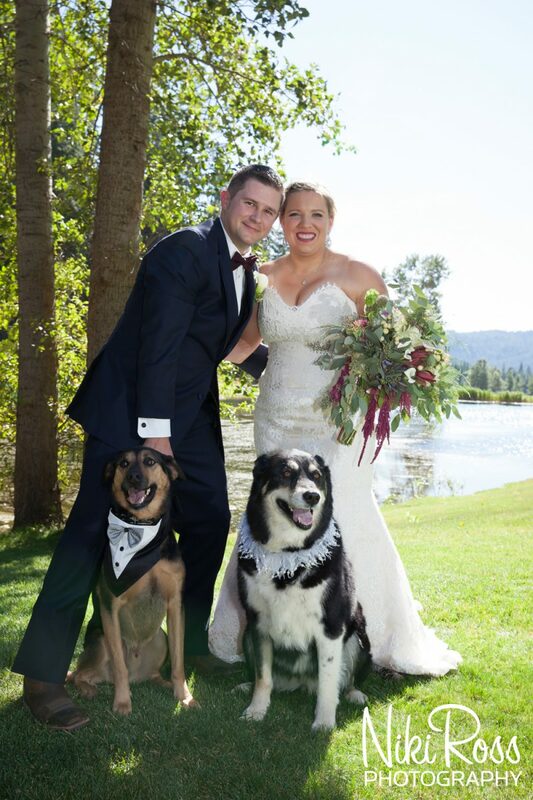 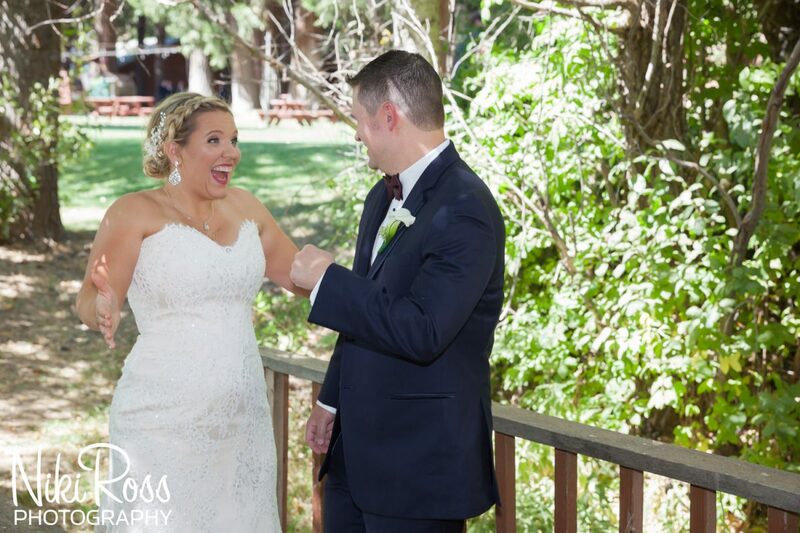 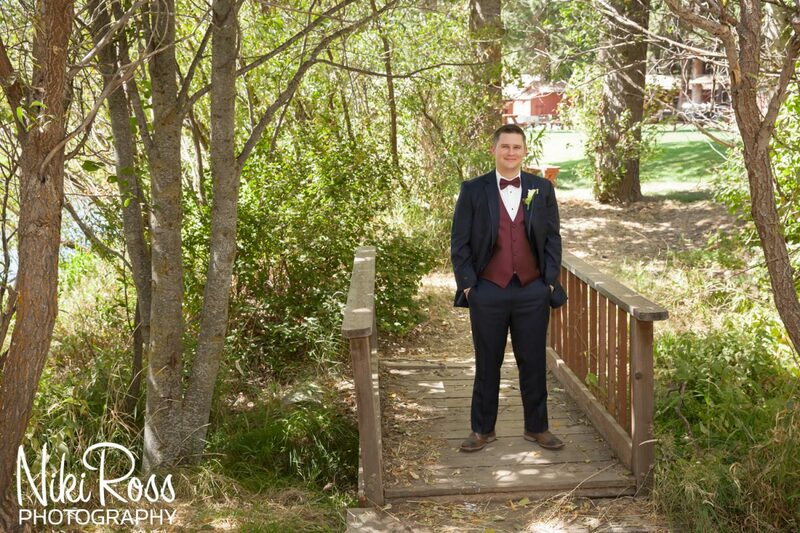 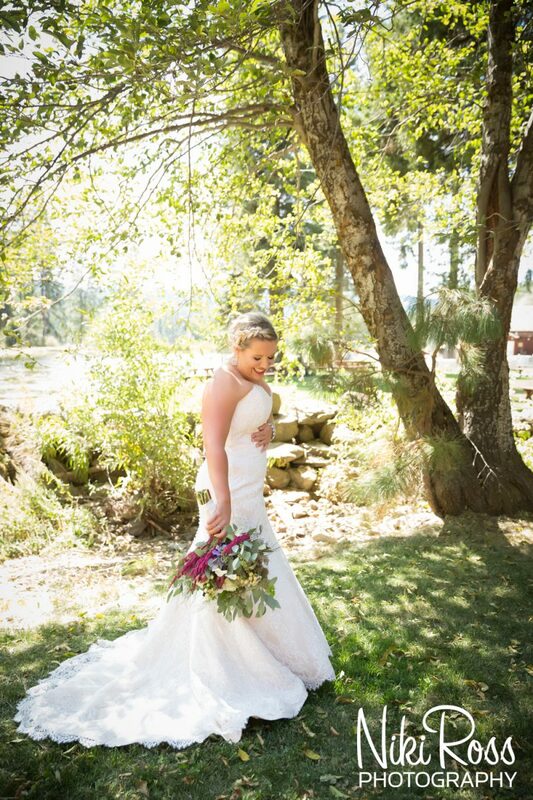 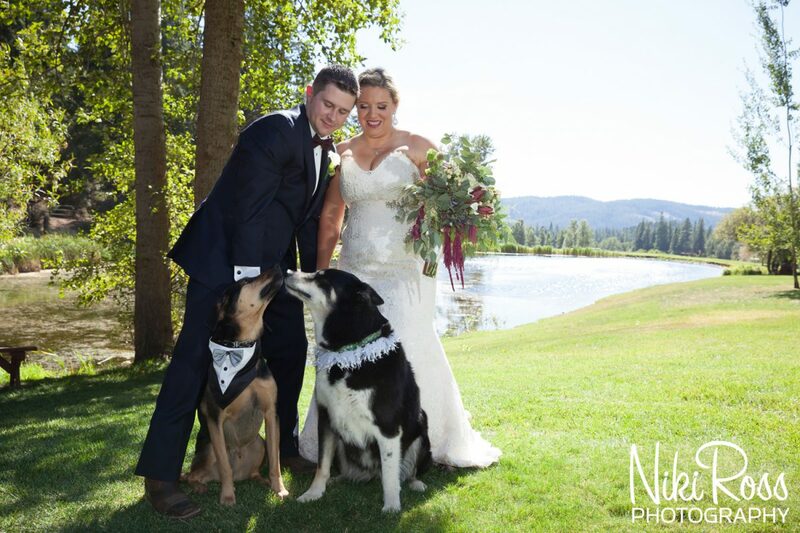 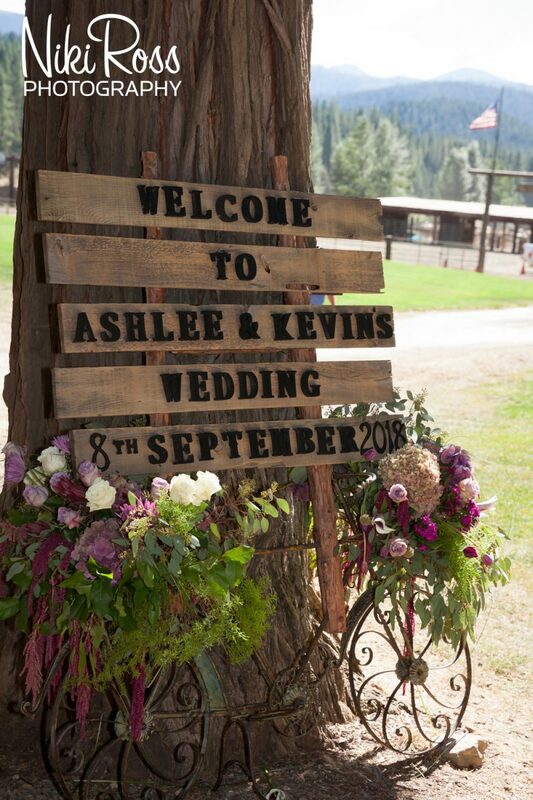 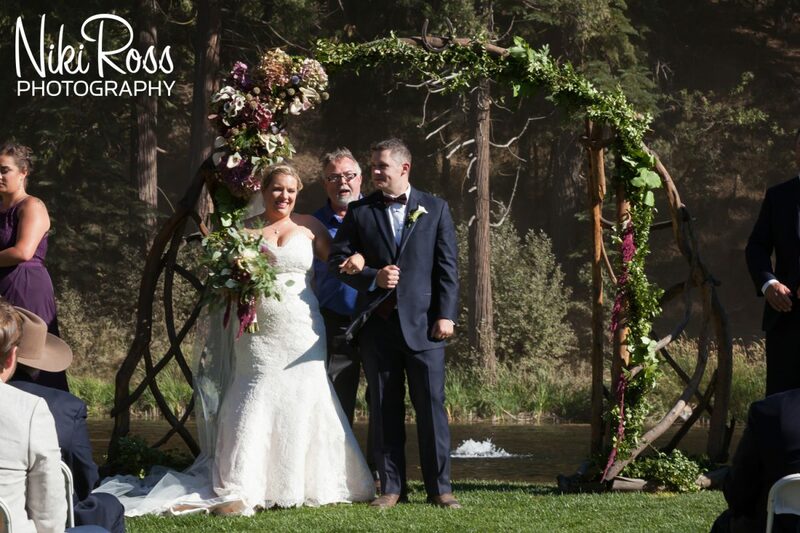 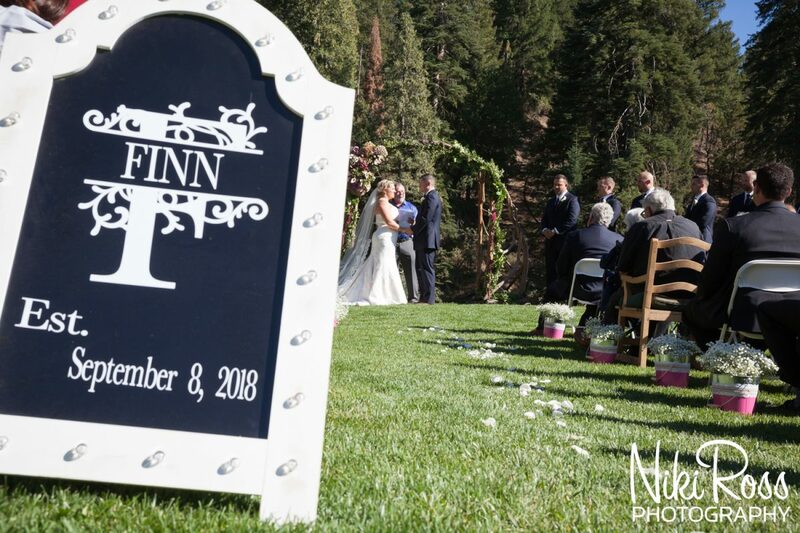 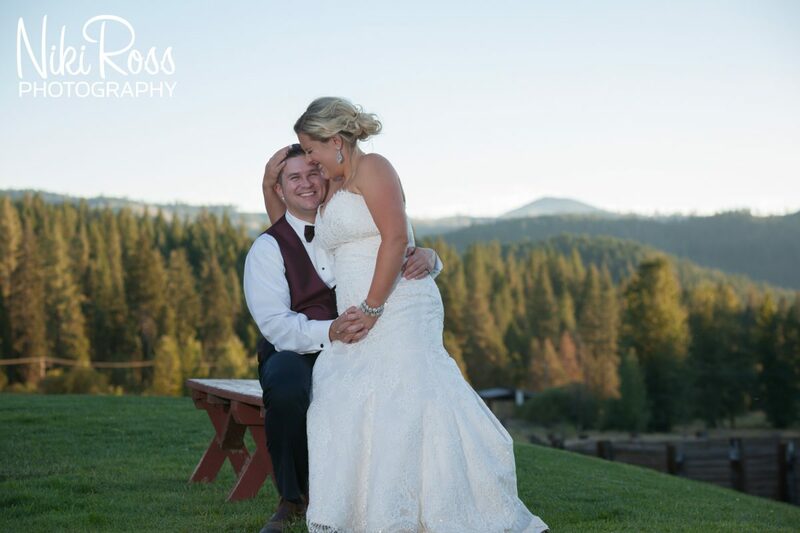 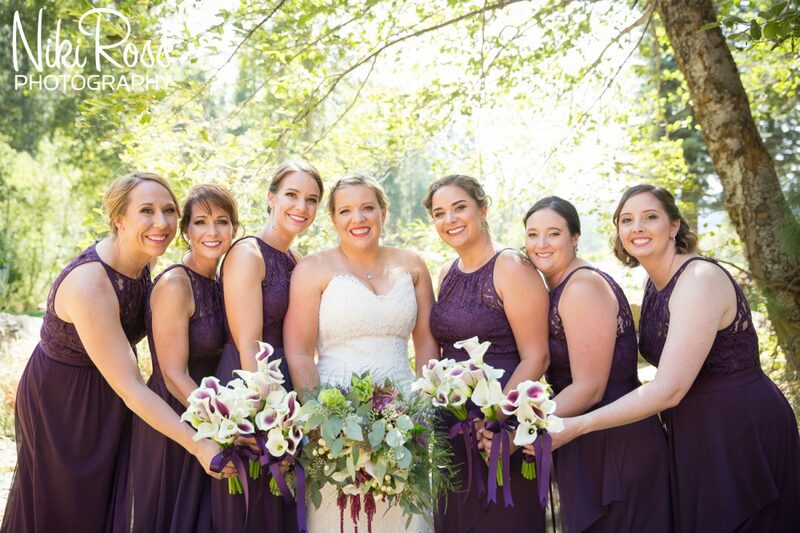 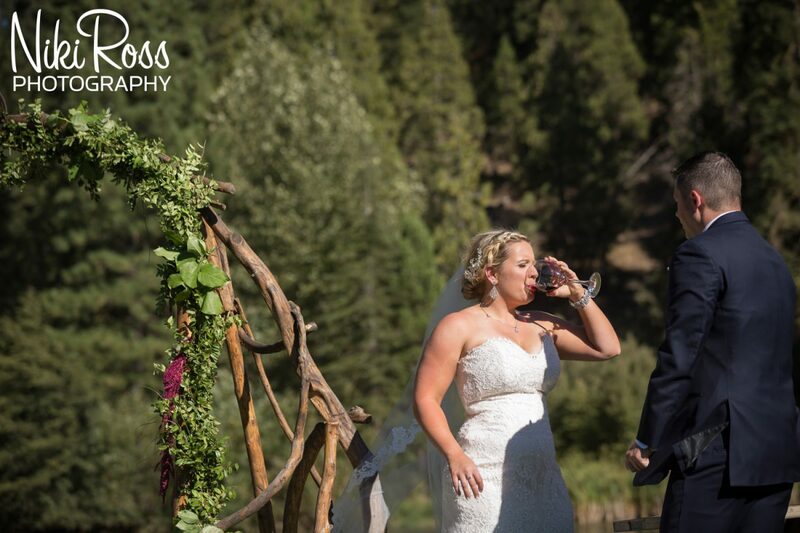 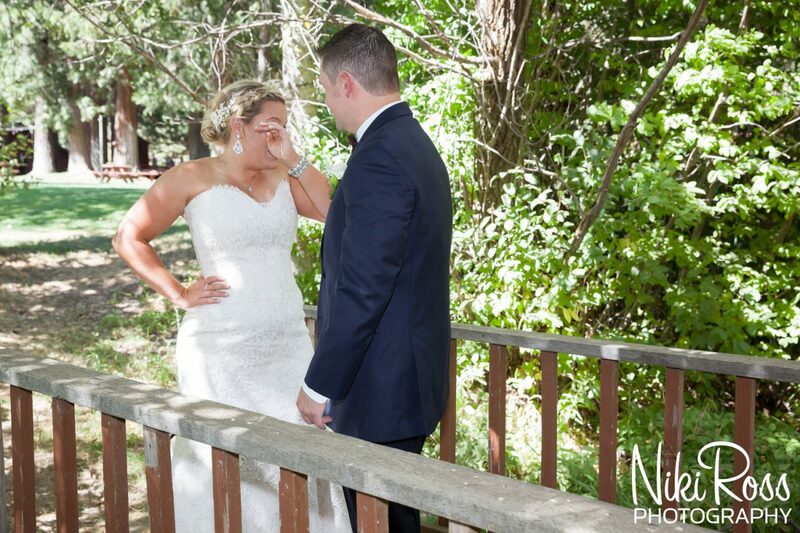 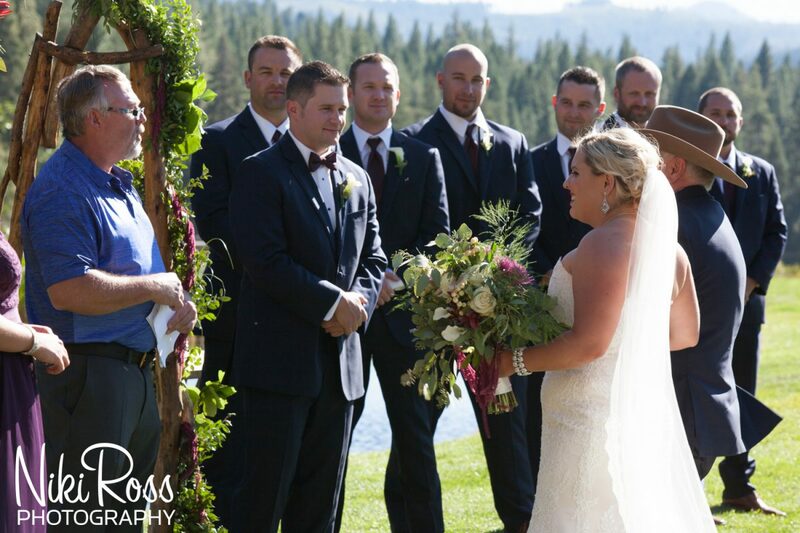 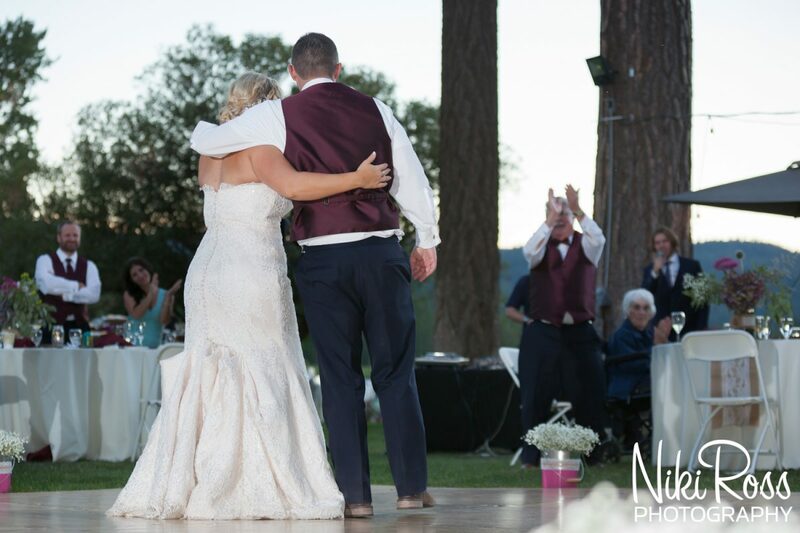 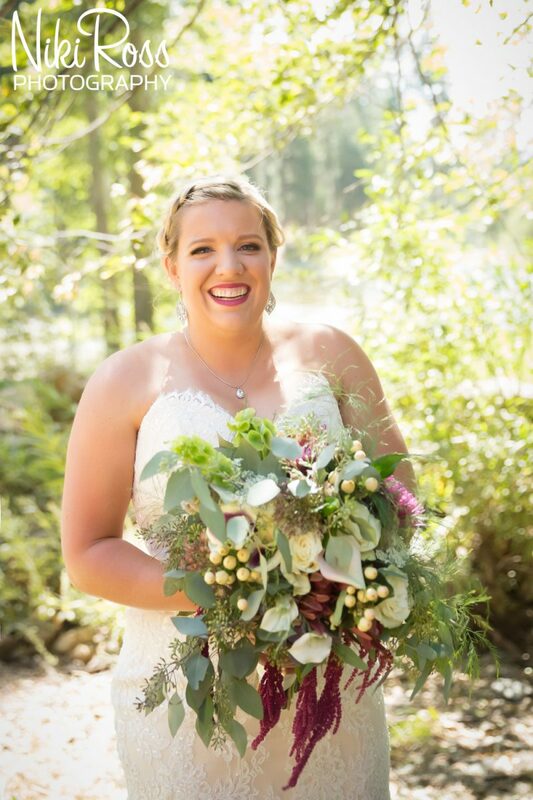 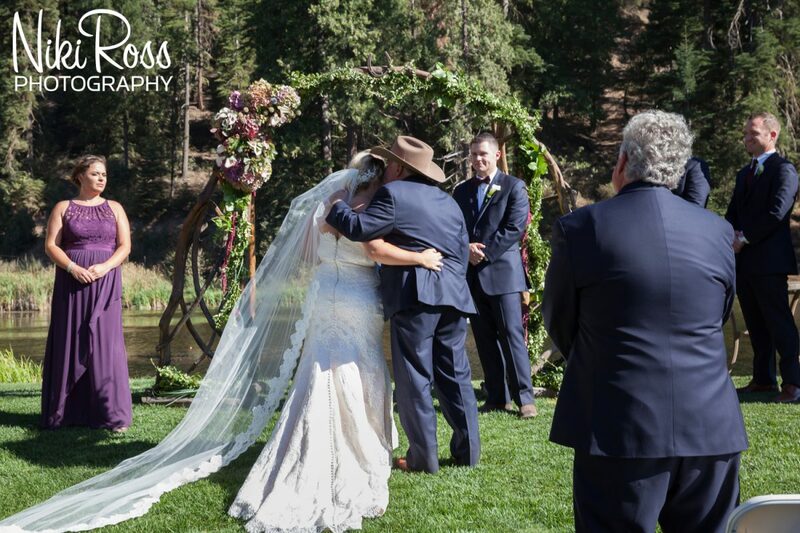 Ashlee and Kevin knew from the minute they saw Greenhorn Ranch that the venue reflected them in the perfect way. 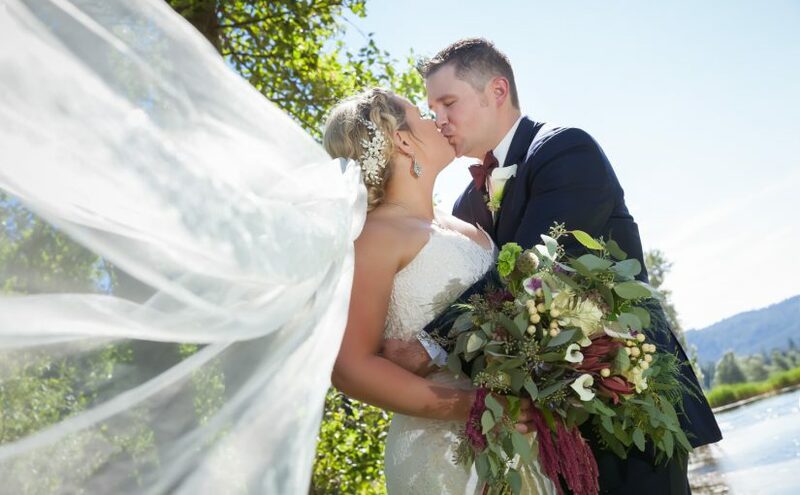 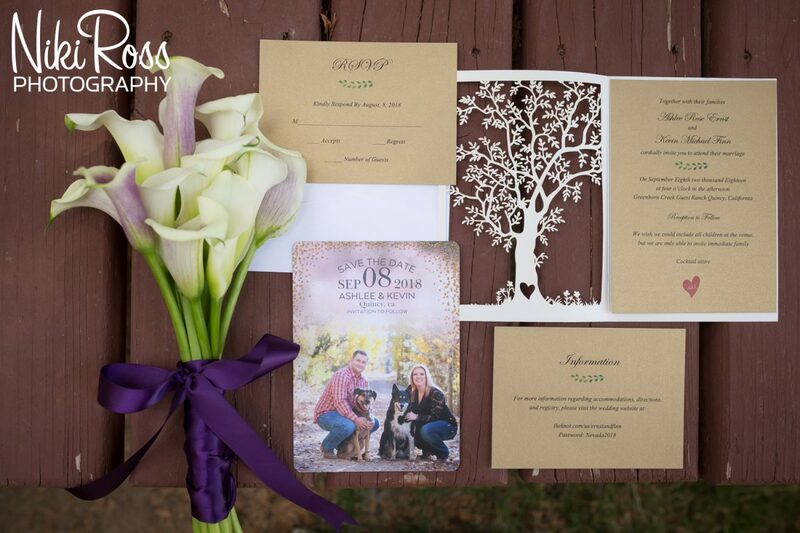 So many details came together to make their wedding day so beautiful. 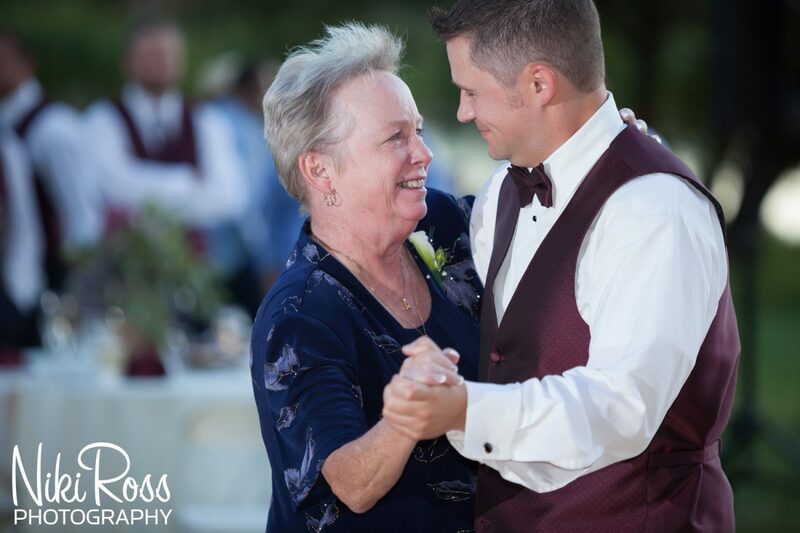 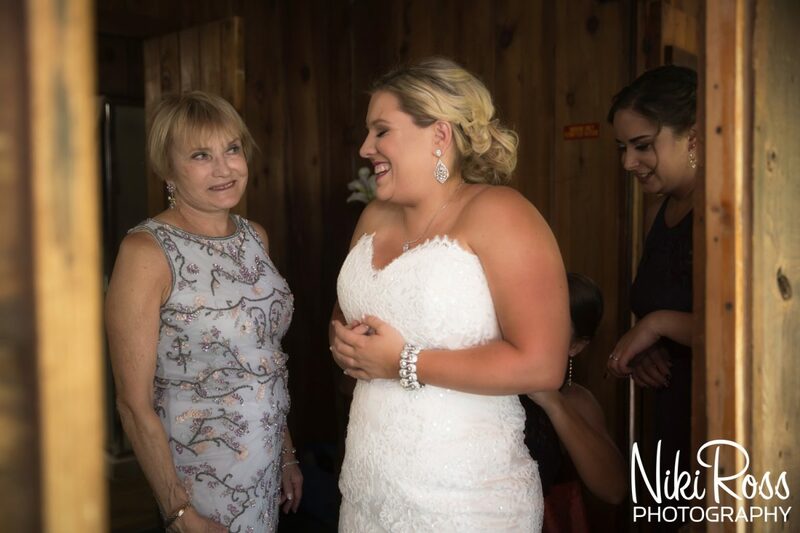 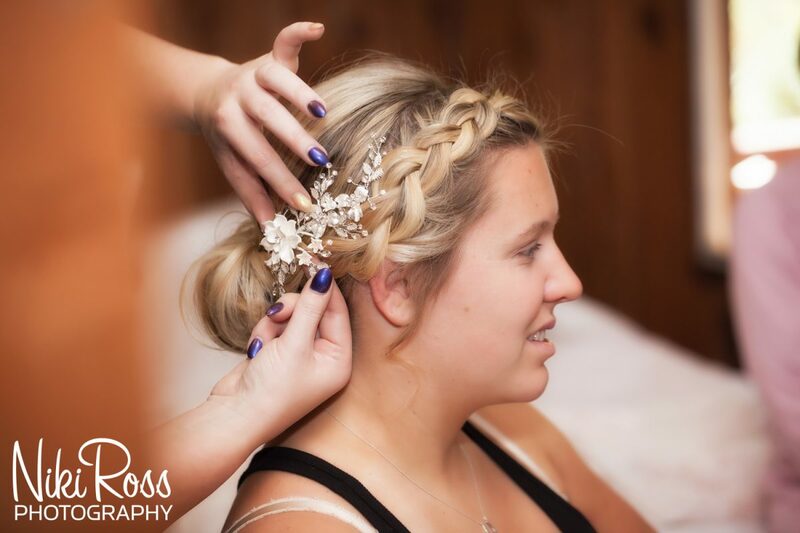 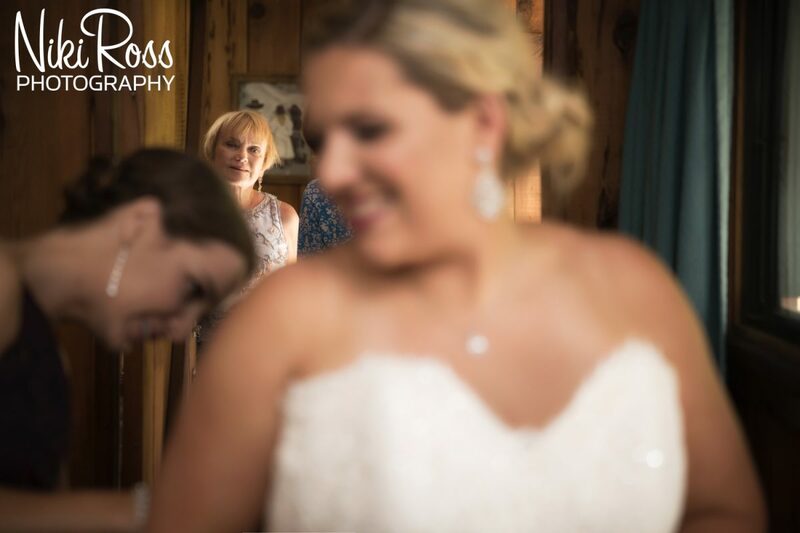 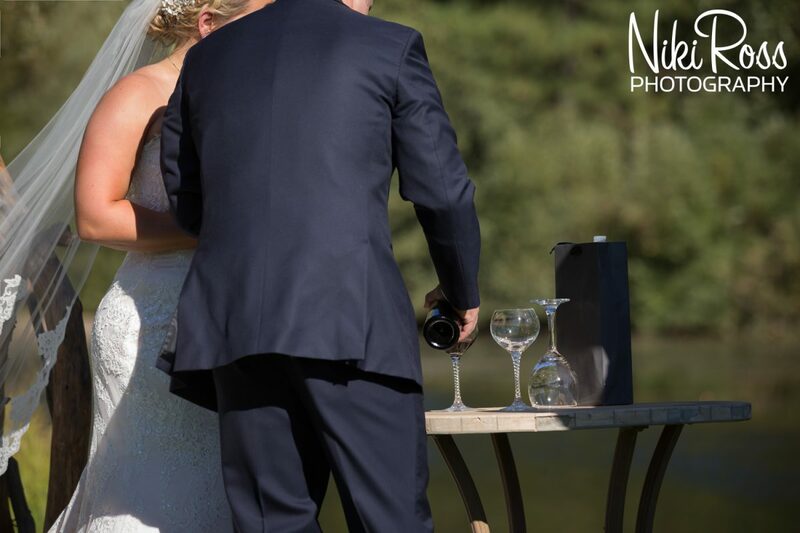 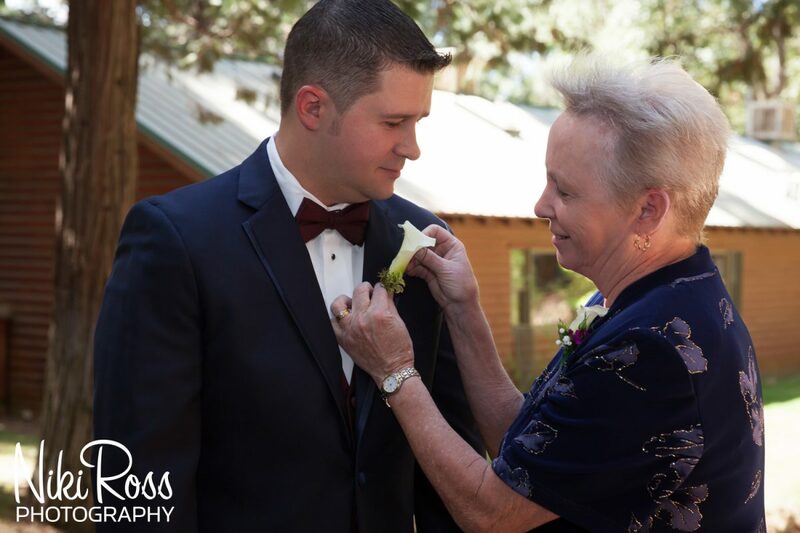 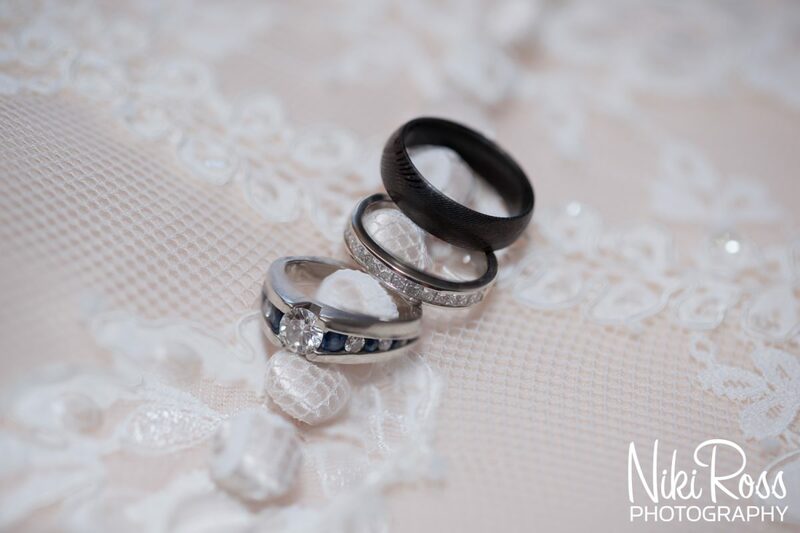 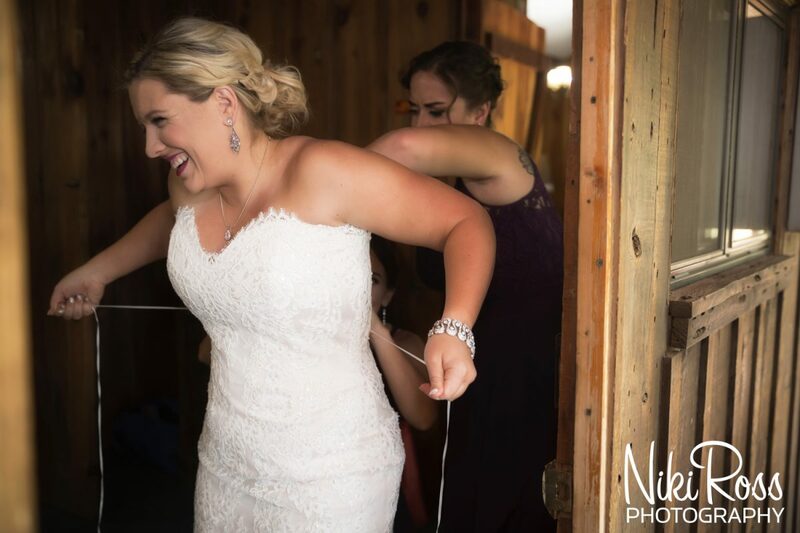 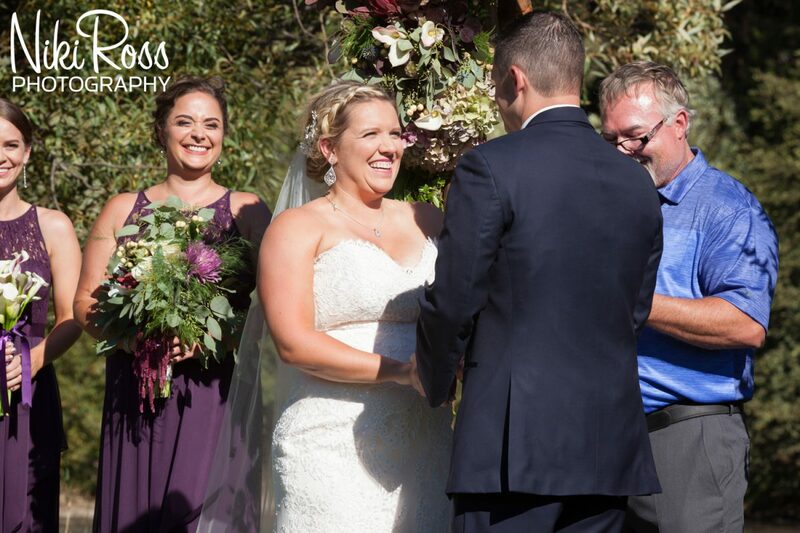 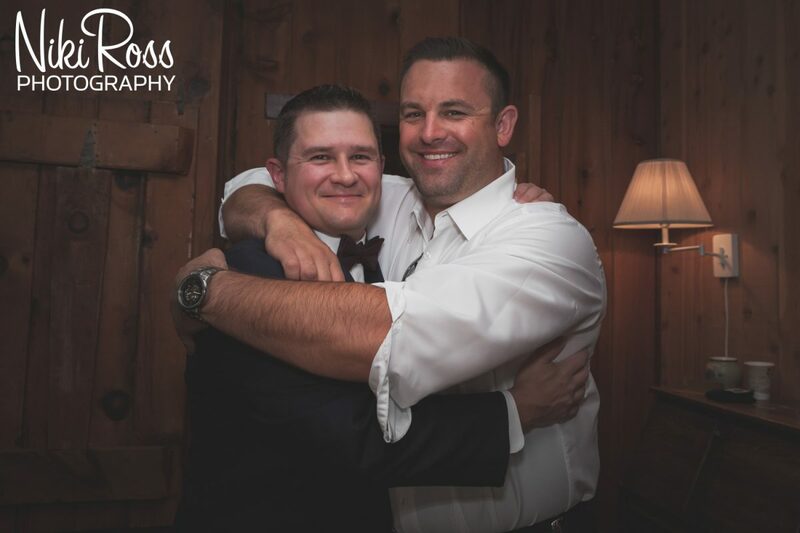 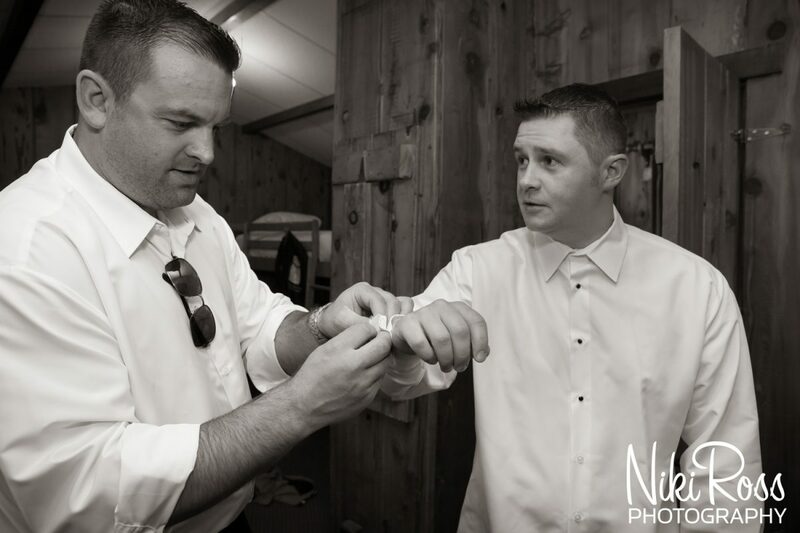 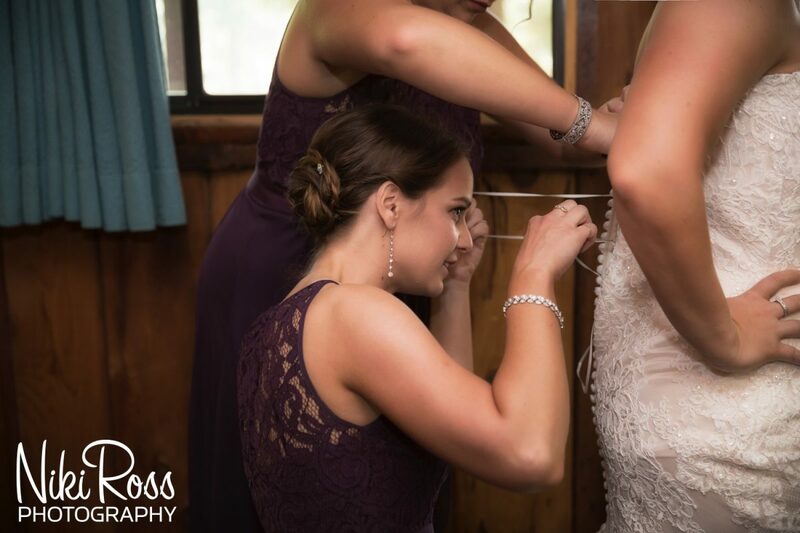 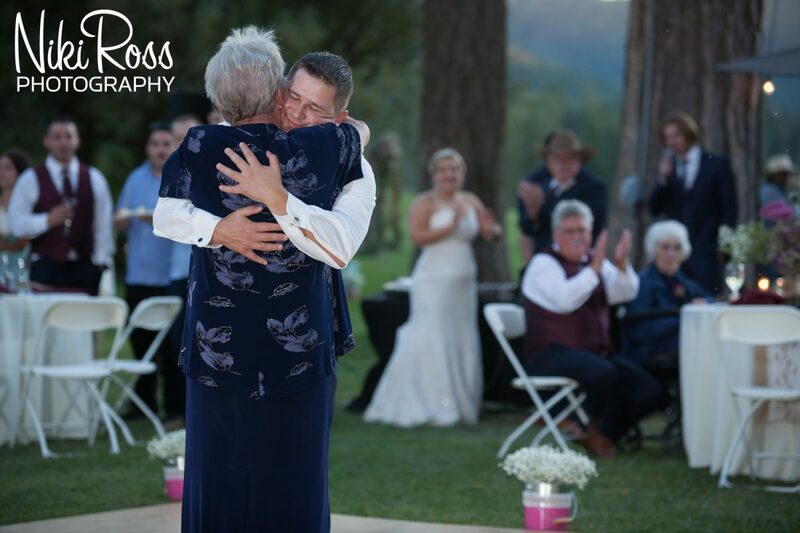 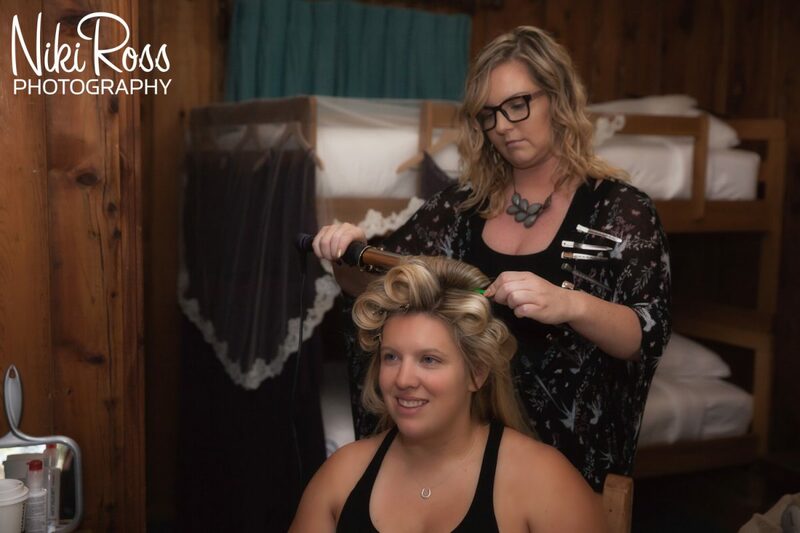 Every family member was their to help make Ashlee and Kevin’s wedding day everything they hoped for. 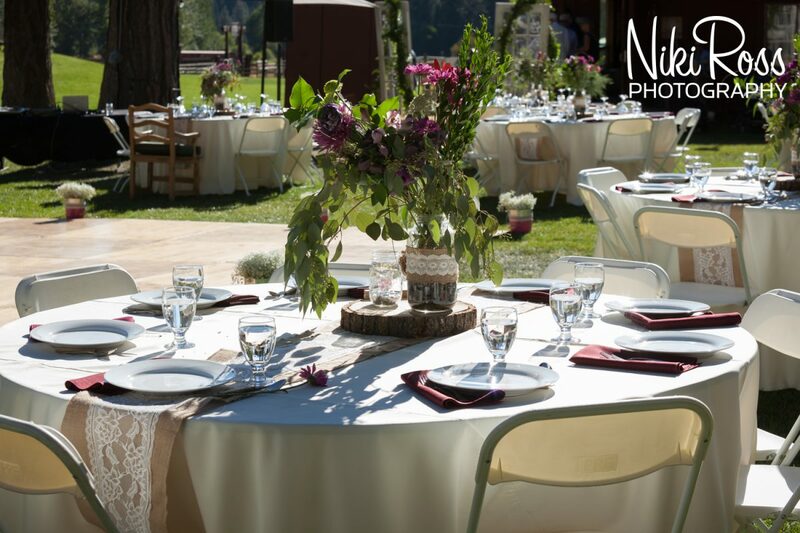 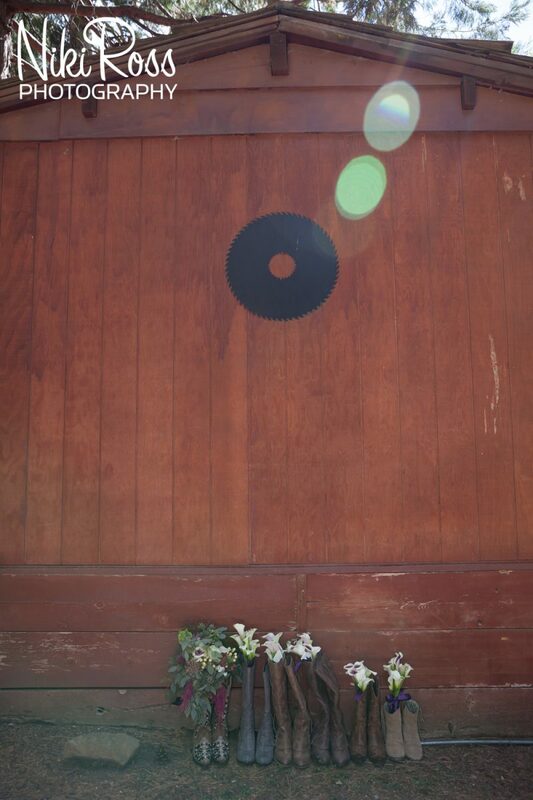 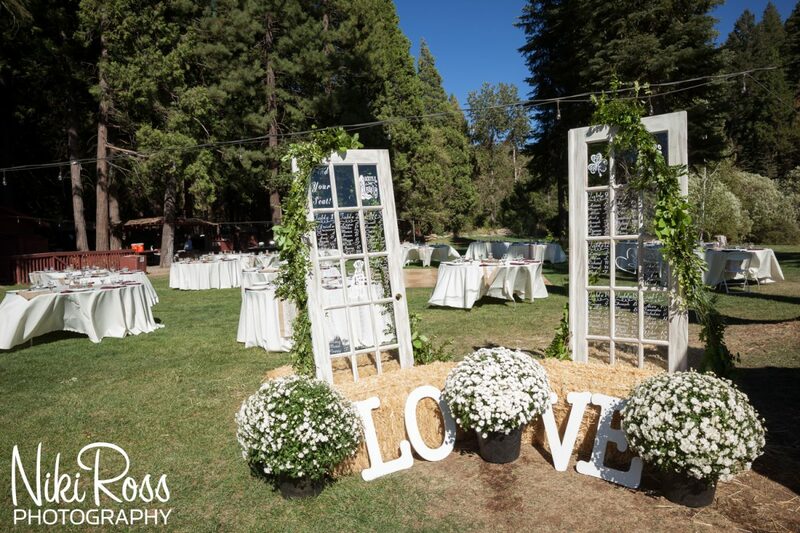 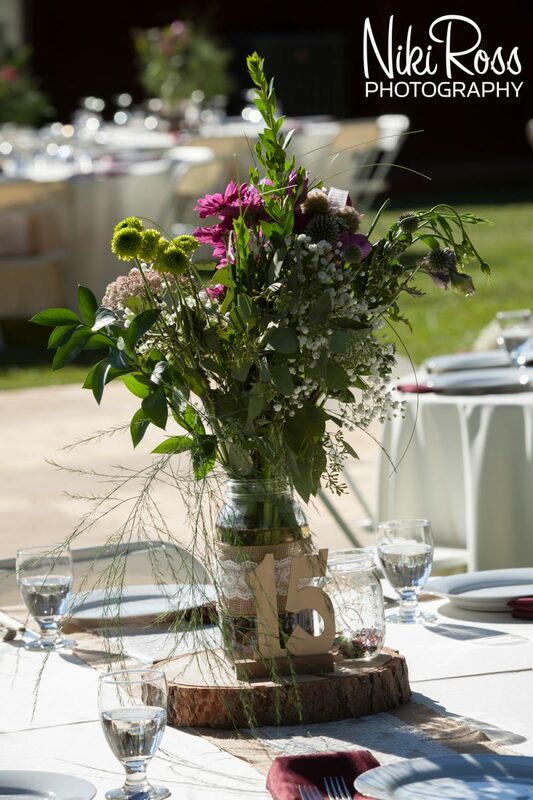 Stunning flower arrangements, handmade signs, and shabby chic table settings made the Ranch ready for a wedding! 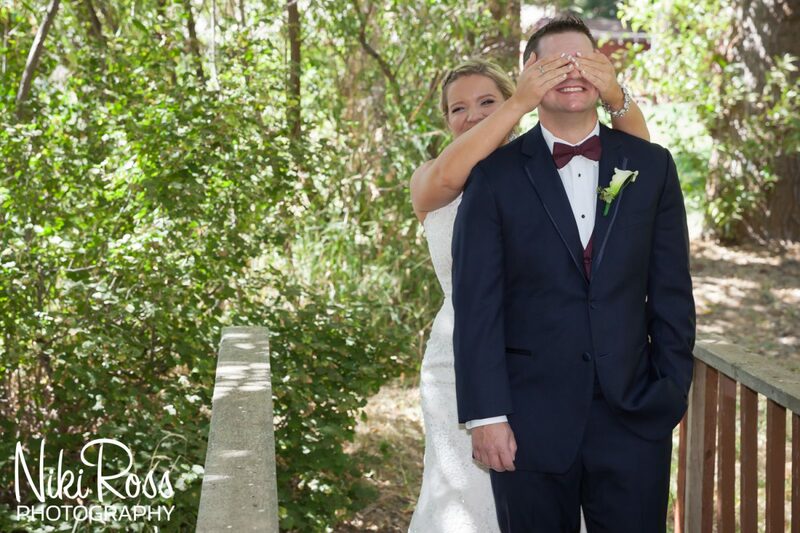 We had scheduled a busy morning complete with a first look and a good majority of the family photos. 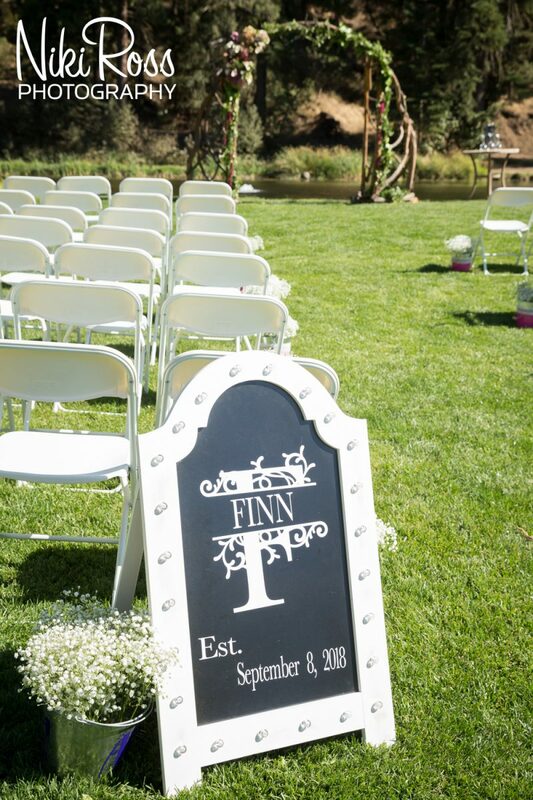 That way the newlyweds would be able to join their party with little interruptions. 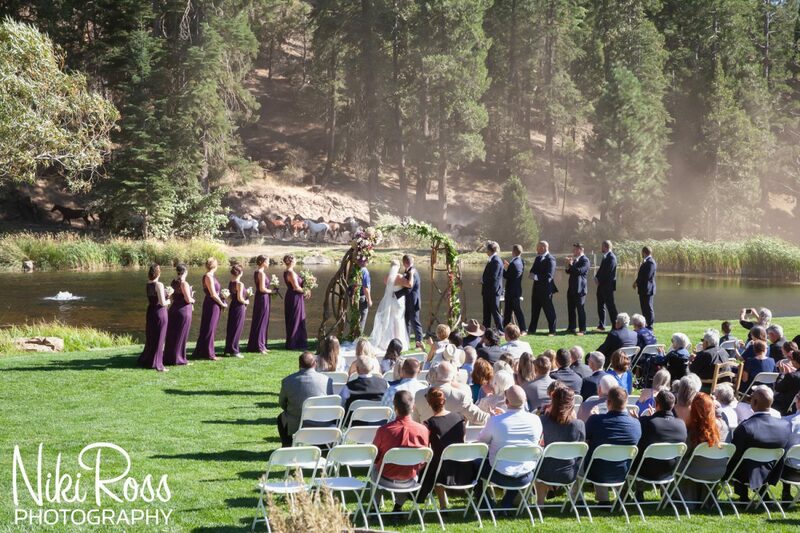 The ceremony was nothing short of exciting! 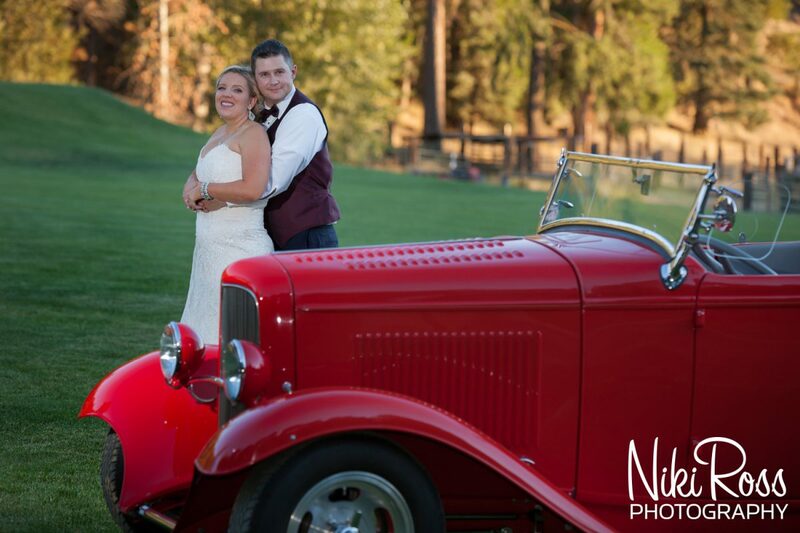 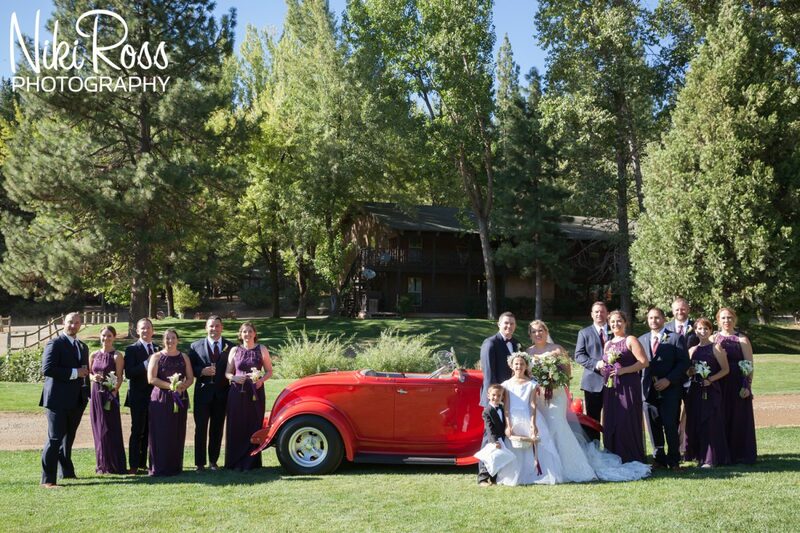 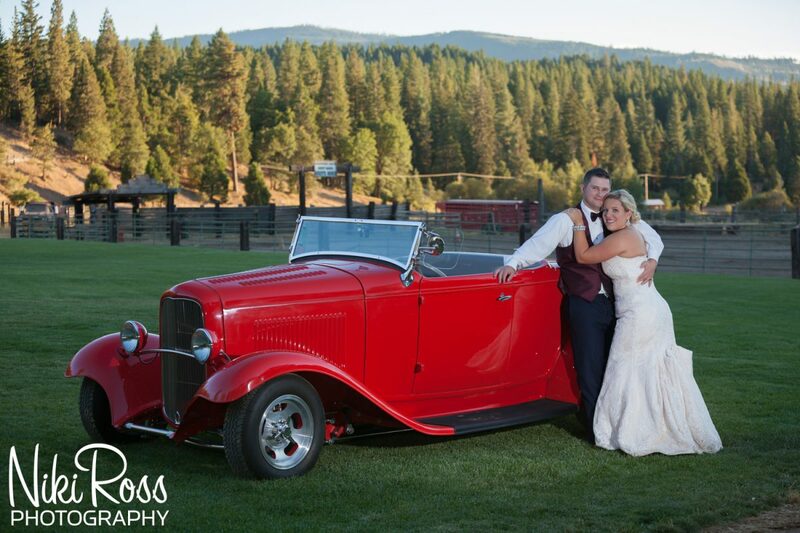 Gathered by all their family and friends, Ashlee and her dad arrived in a red 32 Roadster, she looked so stunning with her cathedral veil and Augusta Jones wedding gown as she got out of the classic vehicle. 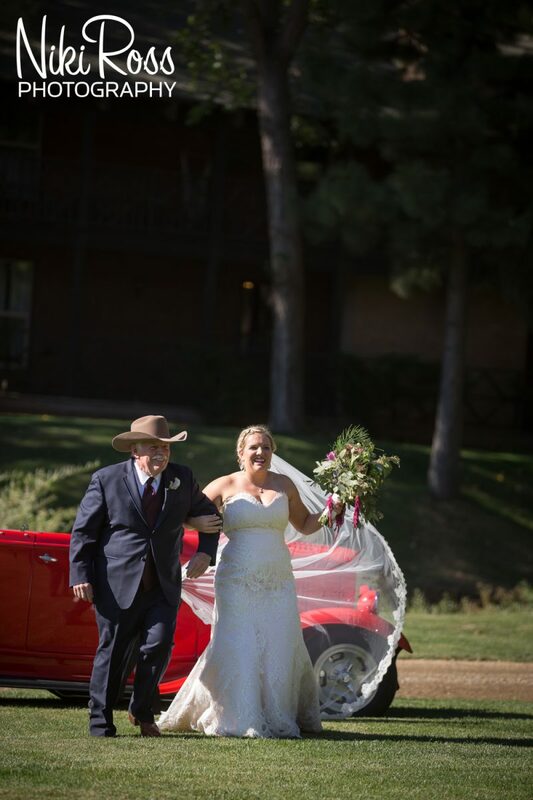 The smile on both their faces said it all! 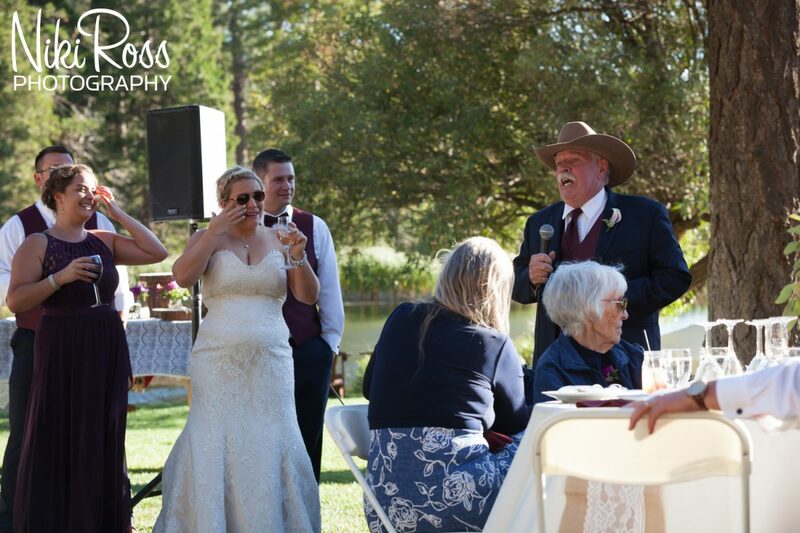 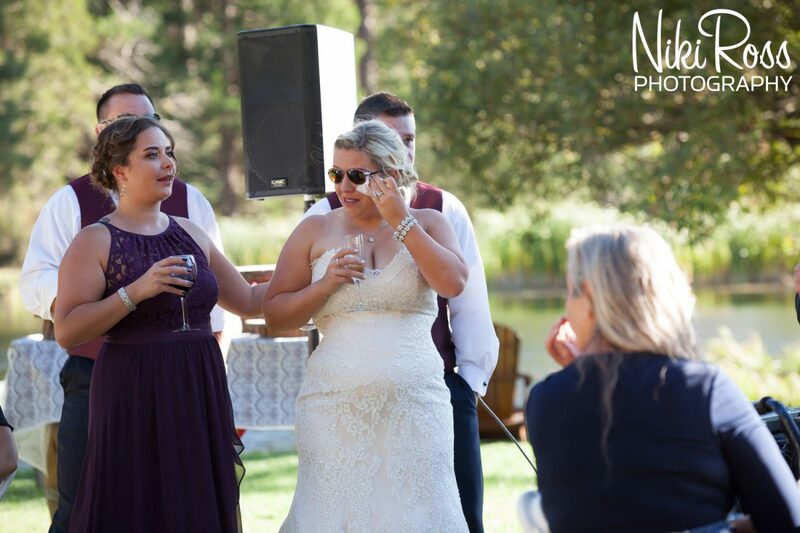 After vows, wine pouring ceremony, exchange of rings and first kiss the crowd is surprised by the whinnies of horses and dust kicking into the air as 50 or more horses run behind the alter for everyone to see! 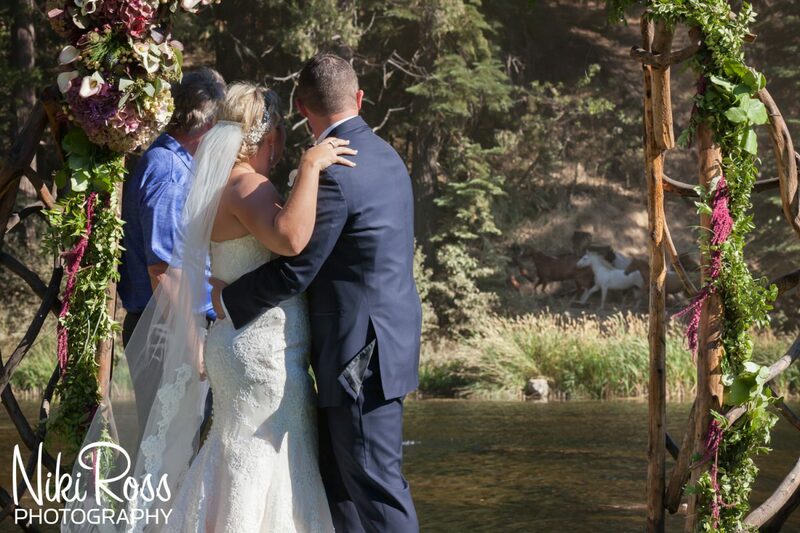 This is truly an amazing moment as the newlyweds get to take it all in for just a few seconds watching the humble, beautiful animals run! 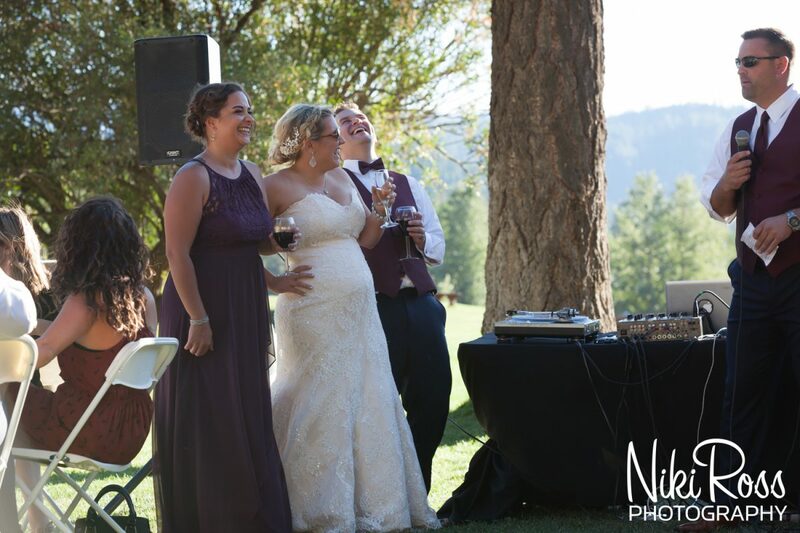 For their reception, let me just say the food is amazing! 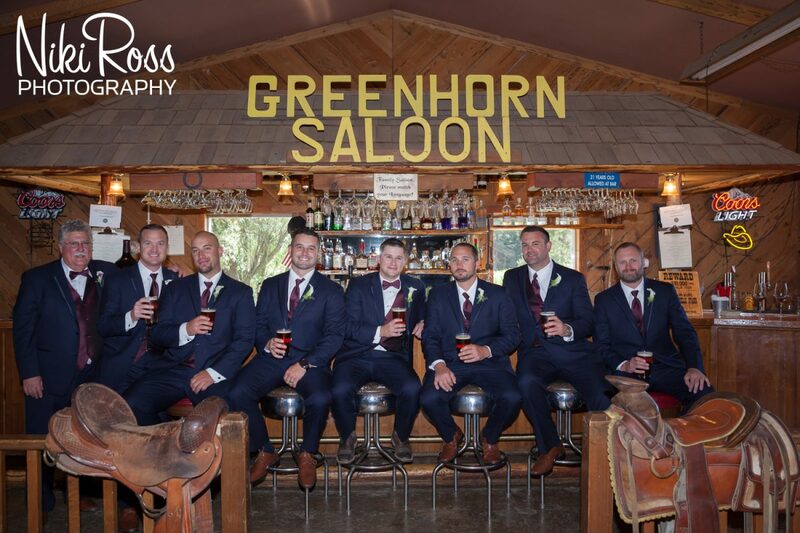 Real BBQ catered by Greenhorn, you can smell the grill going all day long as they prepare. 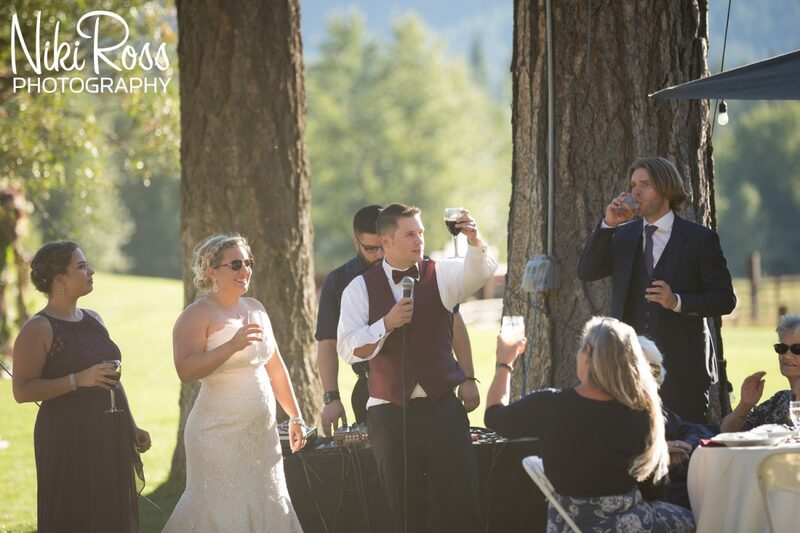 Nothing Bundt Cakes for dessert, plus at the end of the night, for those who stay long enough the campfire gets lit and smores for everyone. 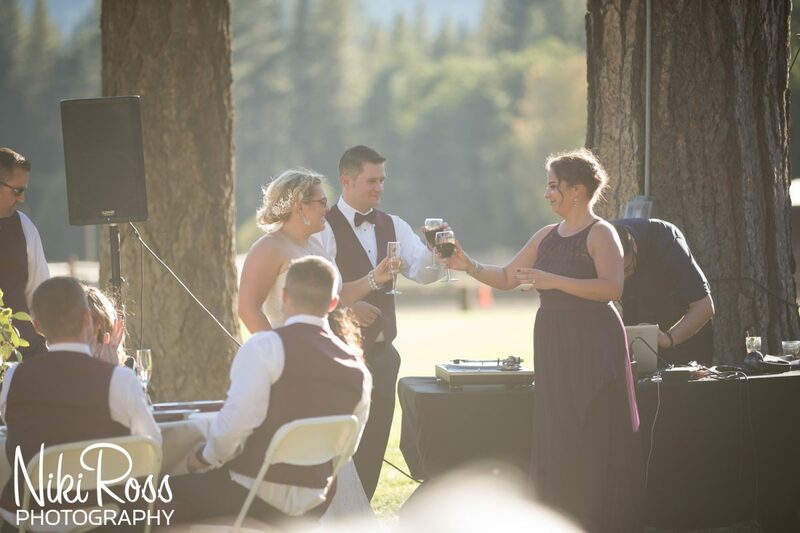 People danced and played pool, the music was bumping, wine was being poured and good times were being had by everyone. 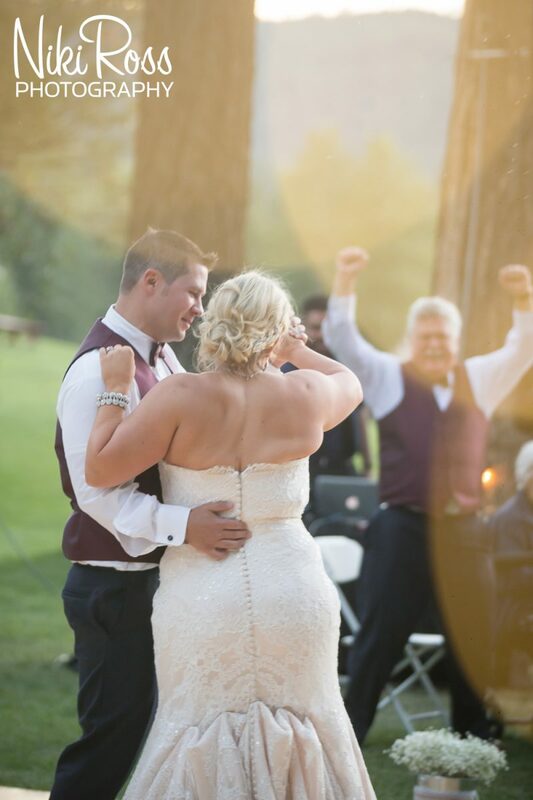 Celebrating the love of Ashlee and Kevin went well into the night! 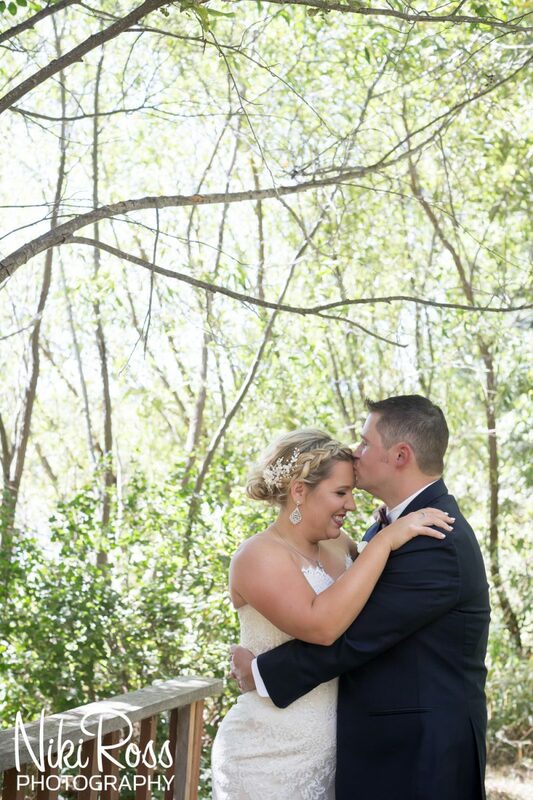 I am so excited for these two and can’t wait to see what the future brings for them, I know it is going to be amazing!